Roughly one out of every five jobs United States requires extensive knowledge in science, technology, engineering, or math. In virtually every metropolitan job market, the average wage in one of these fields is more than $30,000 higher than in other fields. In some markets that are known as high-tech hubs, that difference can be even more pronounced – in San Jose, California, for example, the average high-tech wage is over $104,000, compared to a $52,000 salary in all other occupations. Here is a list of the best cities in America for studying computers and technology. Usually, it is the local colleges or universities that will drive the local tech community, based upon that school’s research dollars and facilities, combined with the student and graduate talent pool. Most high-ranking schools foster a spirit of local innovation and entrepreneurship. Many of the universities in the towns included on this list have graduated the innovators and visionaries who have shaped the Internet and mobile communication world that we know today. In compiling this list, we took several criteria into account. First, we took into consideration what other knowledgeable and respected third-party sources had to say about the colleges and universities that had the highest ratings for computer-related majors. Then we went further, and looked how the school as a whole is ranked, both for other STEM-related majors and overall. Wherever possible, we considered the particular school’s reputation on both a national and international level. We also looked at more tangible information – the money. Many of the schools on the list have publicized information about the average salaries of their Computer Science graduates. With this information, combined with the current cost of attending, it was easy to determine the potential Return on Investment that students might realize by attending a particular school. Once the schools were determined, we were able to focus upon the host cities. For many of the cities, we were able to shine some light on the availability of tech or STEM jobs, as well as the average salary for workers in those fields. In most cases, we were able to list the major tech employers located in a particular city. Finally, we considered the resources available for computer/tech graduates in various cities. We gave weight to the overall tech climate – research facilities, the presence of tech incubators, and the availability of mentoring for startups and entrepreneurs. We tried to give examples of any available tech success stories. A couple of notes – you will see the University of California listed as the primary school in several listed cities. This is because although they are all part of the same University system, each school has its own separate identity and ranking. Also, the city of San Francisco, which has the highest rate of job growth for tech jobs in the country is not listed here. That is because this list is about the best places to study computers and technology. Although many people rightly believe that San Francisco is one of the best cities in which to work in the tech field, the highest-rated colleges and universities are not actually located in San Francisco. There are a number of technology and biotechnology jobs in the Worchester area, and the University of Massachusetts Memorial’s Healthcare Center, the University of Massachusetts Medical School, and St. Vincent Hospital employ over 20,000 people collectively. Other opportunities can be found at Advanced Cell Technology, Abbott Laboratories, or the Worchester Foundation for Experimental Biology. 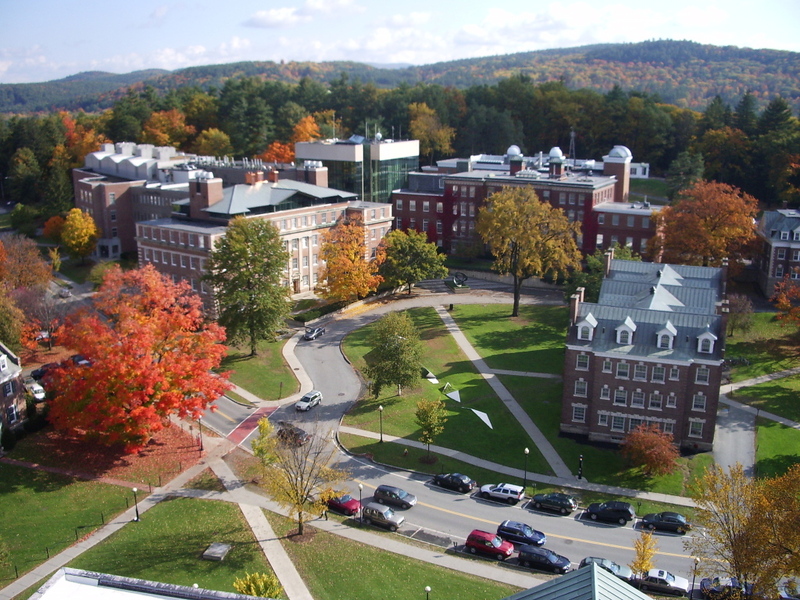 Worcester Polytechnic University is well-known for producing high-earning graduates. It routinely places in the “Top 10” for median starting salaries, according to PayScale.com. BusinessWeek magazine ranks the school #15 for Return on Investment, and Forbes magazine rated WPI #9 among “Top Colleges for Getting Rich” in 2008. In their 2014 “College ROI Report,” PayScale.com determined that WPU ranked #18 out of more than 1300 colleges and universities. The school has a projected 20-year ROI of over $664,000, versus an education investment of $221,000. Also according to the same website, WPU has the fifteenth-highest pay scale for mid-career computer science majors, with an average salary of $111,500. Worcester is known as the “Heart of the Commonwealth,” because it is believed that Valentine’s Day cards were invented here. More than one out of every three jobs in San Jose is in the STEM field, and workers possessing at least a bachelor’s degree will earn an average salary of $115,743, which is the highest salary in the field in the country. As of June 2014, there were over 39,000 STEM jobs available in the San Jose area. 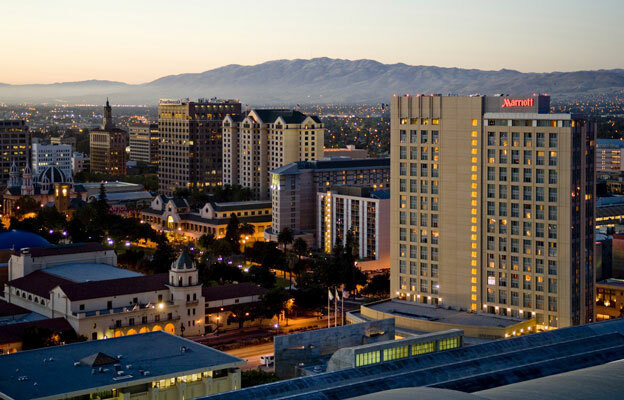 San Jose is home to many technologically-focused companies, including Cisco, Adobe, and eBay. 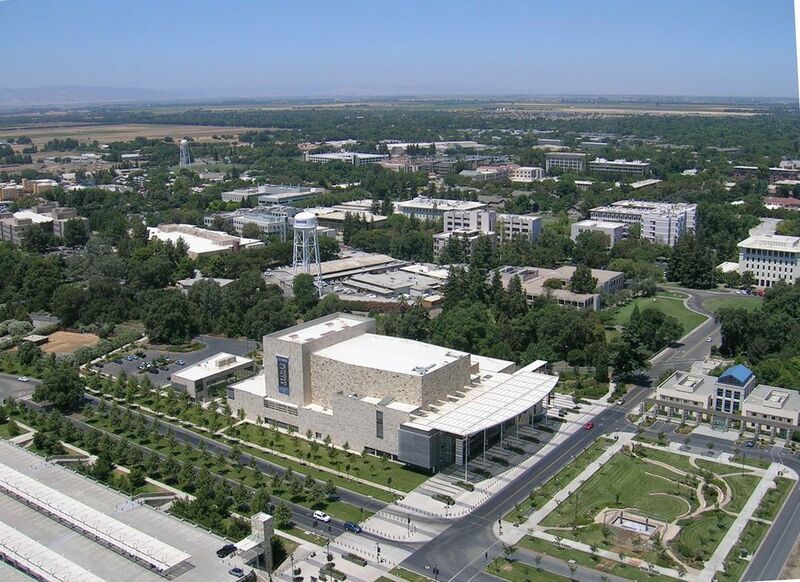 San Jose State University is the oldest public institution of higher learning on the West Coast. Three of the most popular graduate programs are Software Engineering, Information Sciences, and Electrical Engineering. SJSU provides Silicon Valley companies with more Business, Computer Science, and Engineering graduates than any other school. The University’s College of Engineering ranks second in the country among public engineering programs according to U.S. News & World Report, and Business Insider puts it among the 50-best engineering schools in the world. In 2010, SJSU was among the “20 Colleges That Will Make You Rich” ranking by Forbes magazine. San Jose is known as “The Capital of Silicon Valley,” and because of its impact on worldwide affairs, it is considered to be a Global City. Located roughly halfway between San Francisco and Los Angeles, this sleepy little town of 45,000 offers an especially attractive option for students who want a top-tier college education without the added stresses of big-city life. California Polytechnic State University is highly-ranked by several sources – #79 for 2013’s “Guide to the Best Colleges” by The Daily Beast, #43 for “Best-Value Public Colleges” by Kiplinger, and #174 “Best Private and Public Colleges in America” by Forbes. U.S. News & World Report ranks ranked Cal Poly #1 in 2014 for the Western Region of the United States for public schools whose highest degree is a Masters – for the 21st straight year. Individual programs did extremely well – Mechanical Engineering #2, Computer Engineering #3, Civil Engineering #3, and Electrical Engineering #5. 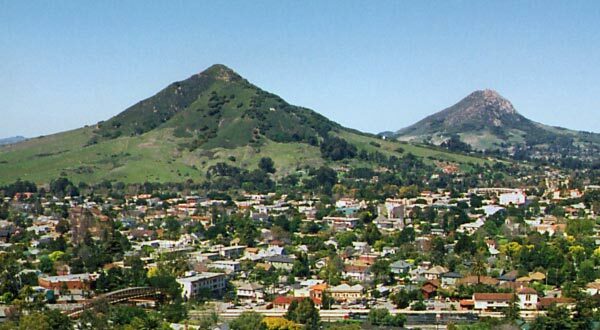 In their 2014 “College ROI Report,” PayScale.com determined that Cal Poly ranked #33 out of more than 1300 colleges and universities. The school has a projected 20-year ROI of over $611,000, the highest in the California State University system, versus an educational investment of $156,000. Also according to the same website, Cal Poly has the second-highest mid-career pay scale for computer science majors, with an average salary of $125,000. The USA Today rated IU Bloomington as one of the Top Ten “Student-Friendly College Towns” among those with a population of less than a million. Bloomington’s concentration of employment in the life sciences is six times greater than the national average, and employment in the technology sector has grown by over 80% in recent years. 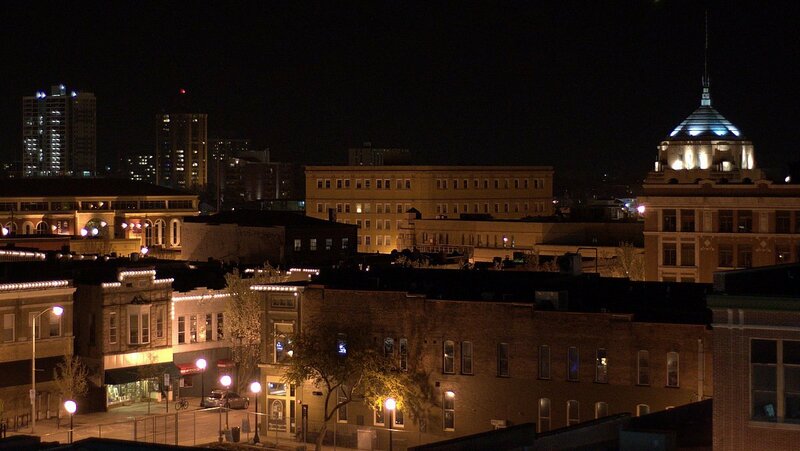 According to the Milken Institute, Bloomington ranks #1 nationally among 124 small metros for high-tech employment. The School of Informatics and Computing is on the cutting-edge of emerging technologies, and IU Bloomington is one of the few schools in the world that offers a degree in Human-Computer Interaction. In 2014, U.S. News and World Report rates IU Bloomington as having the #52 Computer Science grad school. According to both the Princeton Review and PC Magazine, IU Bloomington is one of the “Top Five Wired Universities” in the country. Because of Gainesville’s emerging presence as a hub for technology and research, tech companies are beginning to target the city and its highly-educated pool of job-seekers. Local companies include medtech firms Axogen and Exactech, global IT company MindTree, and Sid Martin Biotech, the highest-rated biotechnology incubator in the world. the University of Florida is a “Public Ivy”, ranked by U.S. News & World Report as the #14 “Best Public University” in the nation. STEM majors ranked particularly high – Biological Engineering #3, Materials Engineering #11, Industrial Engineering #13, Aerospace Engineering #26, Chemical Engineering #28, Environmental Engineering #30, Computer Engineering #31, Civil Engineering #32, Electrical Engineering #34, and Mechanical Engineering #44. In addition, the Academic Ranking of World Universities rated U of F as #71 in the world in 2013. According to the Princeton Review, the University of Florida Career Resource Center was ranked #1 in the country for career and job placement services in 2010, and #4 in 2011. The Center offers information, workshops, job fairs, counseling on resumes and portfolios, successful interviewing, job strategies, and leads for finding employment. Along with Durham and Chapel Hill, Raleigh is considered to be part of the “Research Triangle,” a growing high-technology region that is the location of such companies as Cisco, Red Hat, IBM, SAS Institute, EMC Corporation, and NetApp. The entire area supports innovation through technology transfer and research and development. More than 34,000 students are enrolled at North Carolina State University, making it the most-attended institution of higher learning in the Carolinas. In 2012, NC State was ranked the #29 best university in the world for Computer Science, Technology, and Engineering. According to U.S. News & World Report, the school has the sixth-best Nuclear Engineering program in the country and the #48 Computer Science graduate degree program. 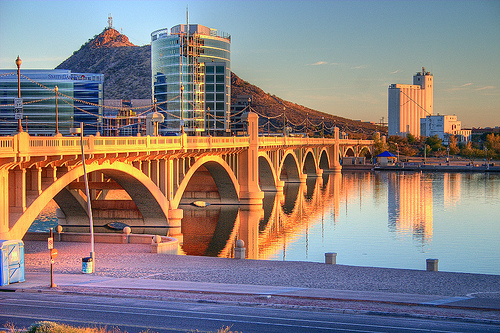 Two of the major high-tech employers in the Tempe area are Freescale Semiconductor, which currently focuses on Software-Defined Networking, Advanced Driver Assistance Systems, and the Internet of Things, and Honeywell Aerospace, which has been involved in 90% of all US space missions. Arizona State University has over 72,000 students, making it the largest public institution by enrollment in the United States. It is also one of the top 25 research facilities in the country, taking into account the output of research, innovations, development, expenditures, patents awarded, and research grant proposals. 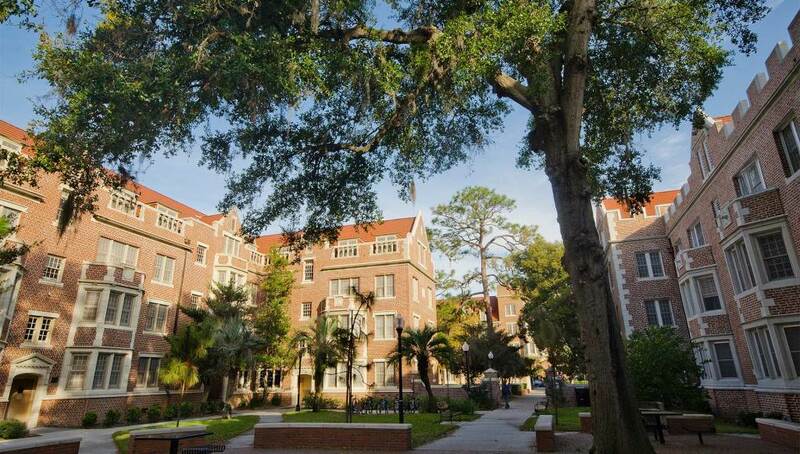 As ranked by U.S. News & World Report, FSU has the #15 Information Systems program in the country, and the #40 Computer Science graduate degree program. 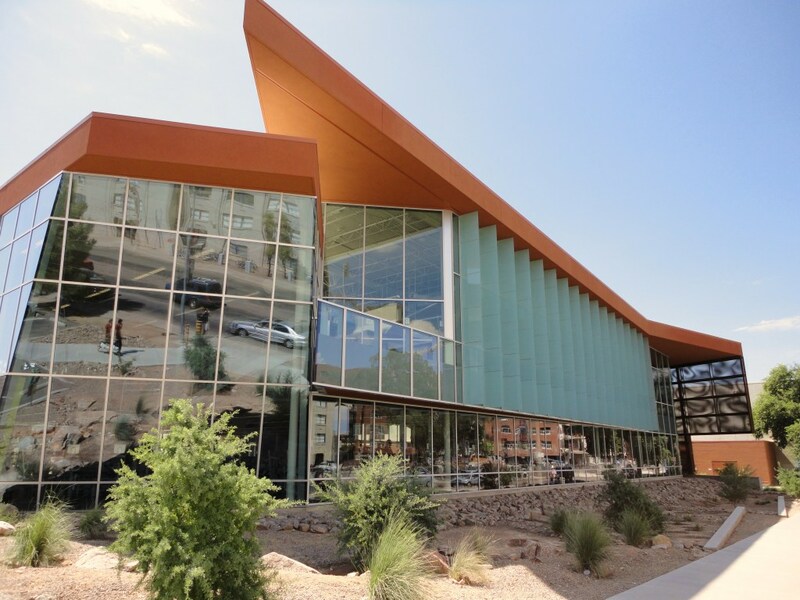 ASU and its research play an important role within space exploration in general and NASA in particular, and in 2012 built a $110 million building that includes accommodations for the School of Earth and Space Exploration. 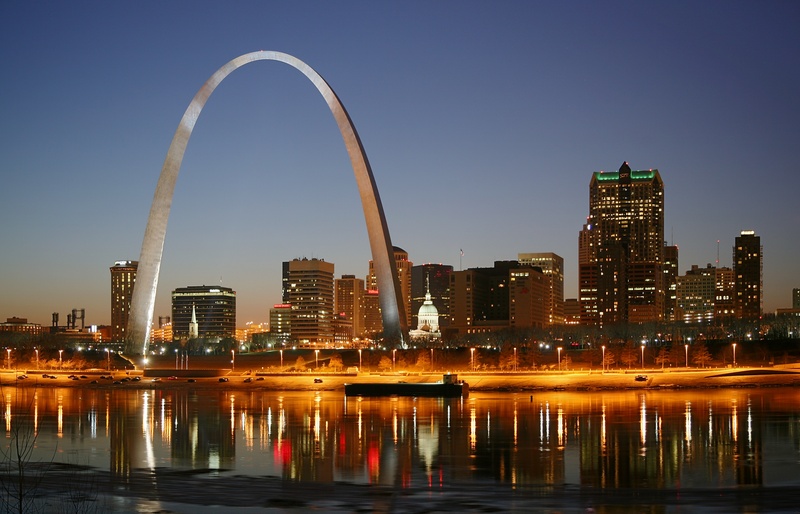 Washington University in St. Louis, which has a student population of just over 14,000 that is almost equally divided between undergraduates and postgraduates, is one of the most prestigious universities in the country and the world. According to U.S. News & World Report, the school’s undergraduate program is ranked #14 and the Computer Science graduate degree program rated #40, while the Academic Ranking of World Universities rates Washington University as #30 in the world. In 2013, Luminosity called Washington University “the smartest college in America,” and in 2014, the Times Higher Education World University Rankings placed Washington University at #42 in the world. In their 2014 “College ROI Report,” PayScale.com determined that Washington University ranked #73 out of more than 1300 colleges and universities. The school has a projected 20-year ROI of over $514,000, versus a cost of $235,000. 22 different Nobel laureates have an affiliation with Washington University. According to an April 2013 report by the U.S. Chamber of Commerce Foundation, Utah is the third-best state in the country for science, technology, engineering, and technology jobs, and second-best for both short-term and long-term growth. 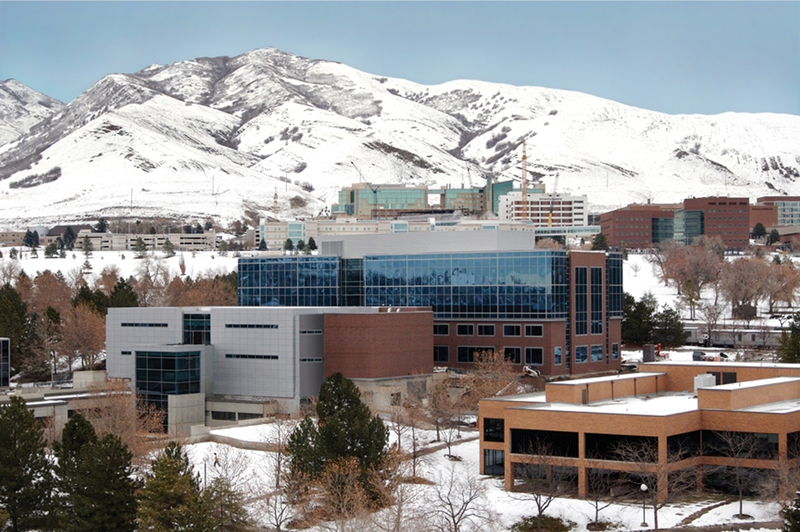 The University of Utah’s School of Computing works in conjunction with the Scientific Computing and Imaging Institute (SCI), a world-leading research facility on campus that has a stated objective of creating new and innovative scientific computing techniques, systems, and tools, and then applying any findings in various fields. Many of the Institute’s discoveries are made freely available to the scientific community through open source licensing. Originally established in 1850 as the University of Deseret, the University of Utah is the oldest higher-education facility in the state, and currently has a total enrollment of approximately 32,000 students. Top economists and business leaders expect that Colorado will add more than 61,000 jobs this year, and the general consensus is that that growth will be spurred in large part by high-tech industries such as software development, IT consultants, and aerospace engineers. The state has the second-most educated workforce in the country, and as of 2012, there were approximately 400 software publishers in Colorado, employees over 12,000 people. The Kaufman Foundation named Boulder as one of the 10 communities in the United States having the highest density of tech startups. 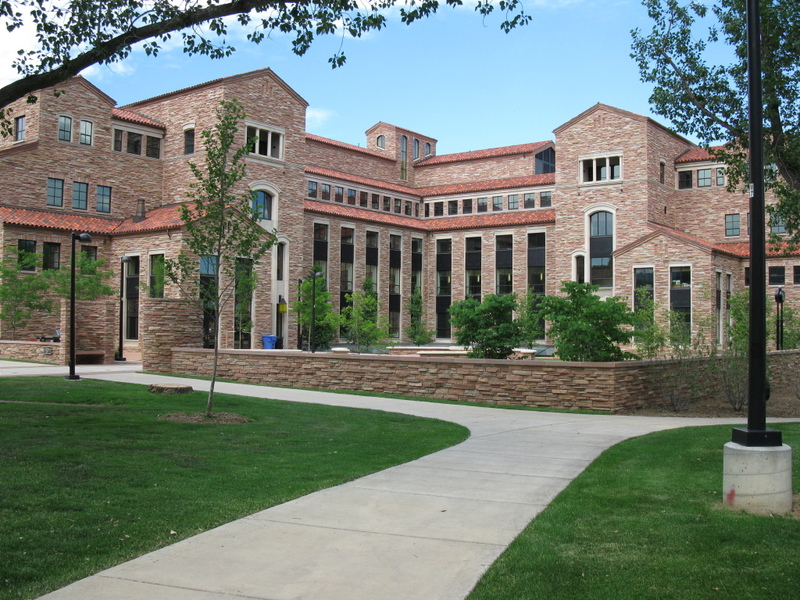 The University of Colorado – Boulder is one of the premier public institutions in the country, and is considered to be one of the nation’s “Public Ivy” schools. According to U.S. News & World Report, the University of Colorado at Boulder is tied for having the #40 best Computer Science program in the United States. In addition, the school is home to the Laboratory for Atmospheric and Space Physics (LASP), which employs over 100 research scientists specializing in designing, building, and operating spacecraft, and the Joint Institute for Laboratory Astrophysics (JILA), one of the top research institutes in the United States. Eleven Nobel laureates, eighteen astronauts, and nine MacArthur Fellows have been affiliated with the University of Colorado. Tucson is perhaps the world leader in the design and manufacture of optics and optoelectronics systems, and has earned the nickname “Optics Valley.” Over 150 companies in the area are involved in optic design and manufacture. There are a large number of high-tech employers in the area, including Raytheon Missile Systems, IBM, Honeywell Aerospace, Texas Instruments, Bombardier Aerospace, Universal Avionics, and Sunquest Information Systems. According to U.S. News & World Report, the University of Arizona is tied for having the #40 best Computer Science program in the United States. The magazine also rates UA as having the #6 Analytical Chemistry program (2010), the #17 Applied Mathematics program (2011), and the #10 Systems and Industrial Engineering department (2009). In 2014, the Center for World University Rankings placed Arizona as #70 in the world and #45 in the US. The Milkin Institute ranked Tucson the seventh-best performing city out of 200 Metropolitan Areas in large part because of job growth in the high-tech arena. In 2006, Money magazine named College Station as the most-educated city in Texas, and the 11th-most in the United States. There are a number of scientific for tech research endeavors in the area including projects by the Office of Naval Research, NASA, and the National Science Foundation. According to U.S. News & World Report, Texas A&M University is tied for having the #40 best Computer Science program in the United States. 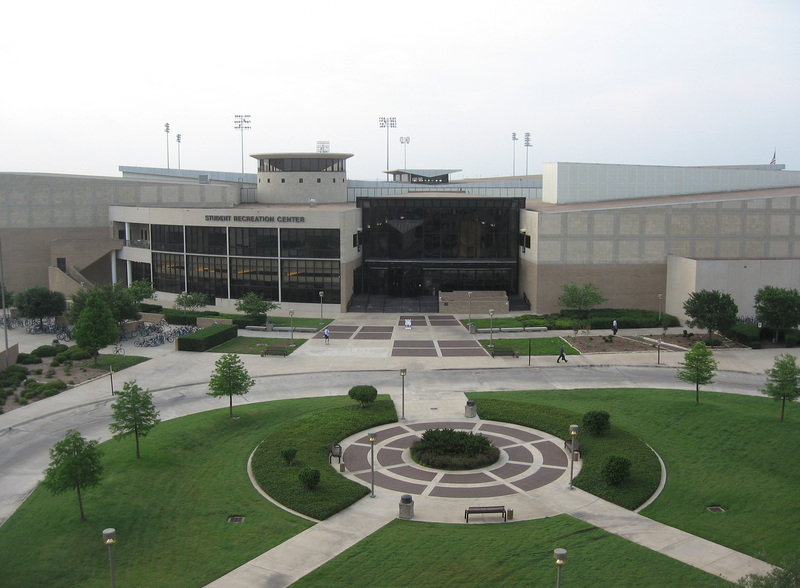 Texas A&M was the first University to create a policy that the commercialization of technology could be one of the criteria for tenure, and to support commercial applications of innovative science and technology, the University has set aside almost 12,000 acres of dedicated research space for their Research Valley and Research Park locations. In their 2014 “College ROI Report,” PayScale.com determined that Texas A&M ranked #44 out of more than 1300 colleges and universities. The school has a projected 20-year ROI of over $567,000, versus a cost of $91,000. Even though Stony Brook is a tiny hamlet of less than six square miles and less than 14,000 full-time residents, the eponymous University has an economic impact upon the region to the tune of nearly $5 billion annually. 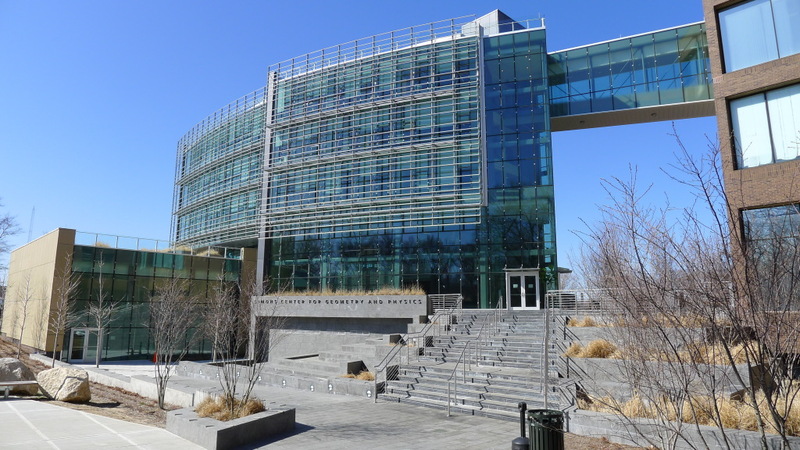 Major facilities include the Brookhaven National Laboratory and the Stony Brook research and development Park, which itself contains the Advanced Energy Center, the Innovation and Discovery Center, and the Center for Excellence in Wireless and Information Technology (CEWIT). The CEWIT is a world leader in the wireless and IT industries, and focuses research on a diverse area, including robotics, mobile computing, microwave sensors, computational genetics, expressive and hybrid networks, and virtual reality, and a wide variety of other specializations. According to U.S. News & World Report, Stony Brook University is tied for having the #40 best Computer Science graduate program in the United States. Other programs that are beneficial to high-tech careers are also rated extremely high – #4 Nuclear Physics graduate program, #4 Geometry graduate program, #23 Physics graduate program, #24 Mathematics graduate program, and #37 Materials Science. Overall, the University is one of the top research universities in the country, and ranked in the top 1% of universities in the world, according to the Academic Ranking of World Universities. Many people in STEM fields first became interested in science and technology because of comic books, and one of Stony Brook’s most famous residents is Marvel Comics legend Stan Lee. Besides Dartmouth, another major facility in the area is the Cold Regions Research and Engineering Laboratory (CRREL), which is owned by the US Army Corps of Engineers and is focused upon the research and development of scientific and military applications within the cold regions of the earth. According to U.S. News & World Report, Dartmouth College is tied for having the #40 best Computer Science program in the United States. Overall, the magazine ranked Dartmouth as #11 among undergraduate universities in 2015. In the QS World University Rankings of 2012, Dartmouth College was ranked #113. In their 2014 “College ROI Report,” PayScale.com determined that Dartmouth ranked #17 out of more than 1300 colleges and universities. The school has a projected 20-year ROI of over $666,000, versus an education investment of $233,000. In the past, Dartmouth has been named by both Newsweek and Yahoo! as being among the most technologically-advanced universities in the country, and currently the College has nearly 15,000 computer access points. Dartmouth was founded in 1769, and it is one of the nine Colonial Colleges that were established before the American Revolutionary War. It is the smallest among the Ivy League schools. According to the job-hunting site Indeed.com, Chicago ranks #4 among all American cities for the number of job openings for computer programmers. As of June 2014, there were over 17,000 STEM jobs available in the greater Chicago area. According to U.S. News & World Report, the University of Chicago is tied for having the #34 best Computer Science program in the United States. 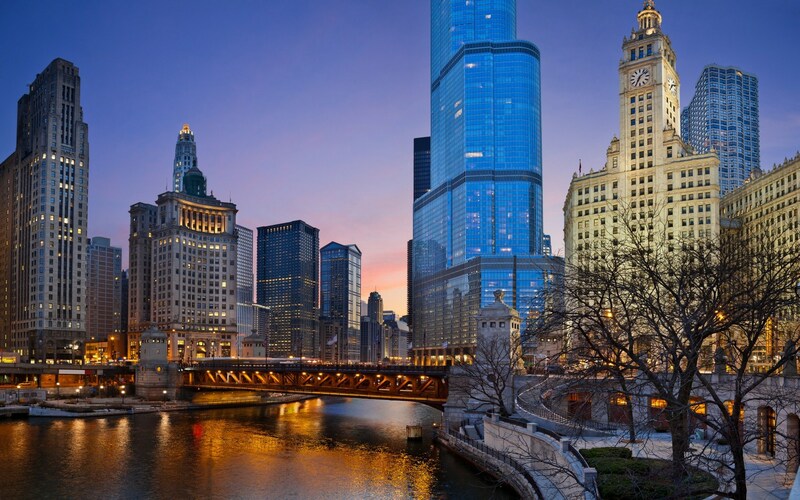 In its 2015 report, the magazine this Chicago as the #4 best overall University in the country. As stated in the World University Rankings of Quacquarelli Symonds (QS), the British company that specializes in information about education and study abroad, the University of Chicago ranks #40 in the world for Computer Science and Information Systems. The University of Chicago has been affiliated with 49 Rhodes Scholars, 9 Fields medalists, and 89 Nobel laureates. Currently, 10 members of the faculty are Nobel laureates. Major tech employers in the area include Raytheon Space and Airborne Systems, Alliant Techsystems Incorporated, Citrix Online, QAD, and the Channel Technologies Group, as well as a large number of tech start-up companies. The University of California at Santa Barbara is recognized as a Public Ivy school, and was ranked #10 among public universities by U.S. News & World Report for 2015, #33 in the world by the Times Higher Education World University Rankings, and #41 in the world by the Academic Ranking of World Universities, all in 2014. Moreover, it has the #7 Engineering program in the world. According to U.S. News & World Report, UCSB is tied for having the #34 best Computer Science program in the United States. 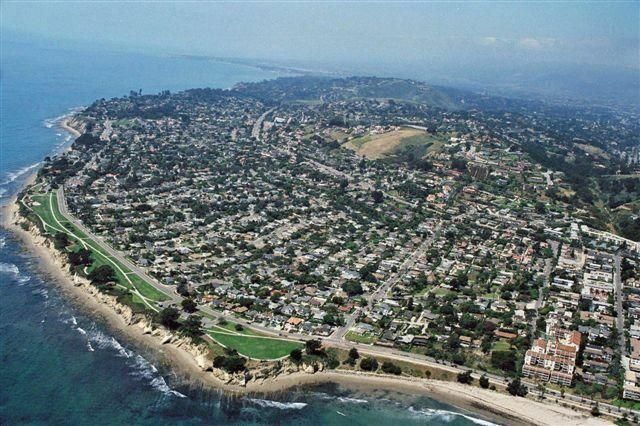 UCSB has a current factory of 5 Nobel laureates, 29 members of the National Academy of Sciences, 27 members of the National Academy of Engineering, 31 members of the American Academy of Arts and Sciences, and one Fields medalist. UC Davis is far and away the largest employer in the city, and there is a plethora of research and tech facilities nearby, including the Advanced Highway Maintenance Construction Technology Research Laboratory, the Contained Research Facility, the Crocker Nuclear Laboratory, and the Plug-in Hybrid Electric Vehicle Research Center. In the fiscal year that ended on June 30, UC Davis launched 14 commercial startups, and has created a total of 62 startups since 2003, including SynapSense Corporation, Tule Technologies, and ViVita. According to U.S. News & World Report, the University of California at Davis is tied for having the #34 best Computer Science program in the United States. In its 2015 report, the magazine also names UC Davis as the #9 best public university in the country and #38 among all universities. In 2001, the school was recognized as a Public Ivy. In 2013, the school was ranked #47 globally by The Academic Ranking of World Universities, and #52 in the world by The Times Higher Education World University Rankings. Alumni and faculty associated with UC Davis have been variously awarded the Nobel Prize, the Pulitzer Prize, the National Medal of Science, the Presidential Medal of Freedom, and the MacArthur Fellowship. Despite the relatively small size of the township, Piscataway provides a number of opportunities for tech graduates locally, and both Newark and Camden are less than an hour’s drive away. Local opportunities include InetSoft, which offers business intelligence software, and IT provider First Tek. According to U.S. News & World Report, Rutgers University is tied for having the #34 best Computer Science program in the United States. Among universities worldwide, Rutgers is ranked #33 by the Center for World University Rankings for 2014. The National Research Council’s puts several of Rutgers’ STEM-related majors among the top 25 among all universities, including Statistics – #17, Mathematics – #19, Physics – #20, and Materials Science Engineering – #25. Rutgers is the eight-oldest college in the nation, having been founded in 1766, and as such, is one of the nine “Colonial Colleges” that were founded before the American Revolutionary War. The Battelle Memorial Institute is the largest private research/development foundation in the world, and employs over 22,000 people, and the Online Computer Library Center, Incorporated (OCLC), maintains WorldCat, which is the largest online public access catalog in the world. Other notable IT employers include J.P. Morgan Chase & Company, Nationwide Mutual Insurance Company, L Brands Incorporated, Alliance Data Retail Systems, and IBM. 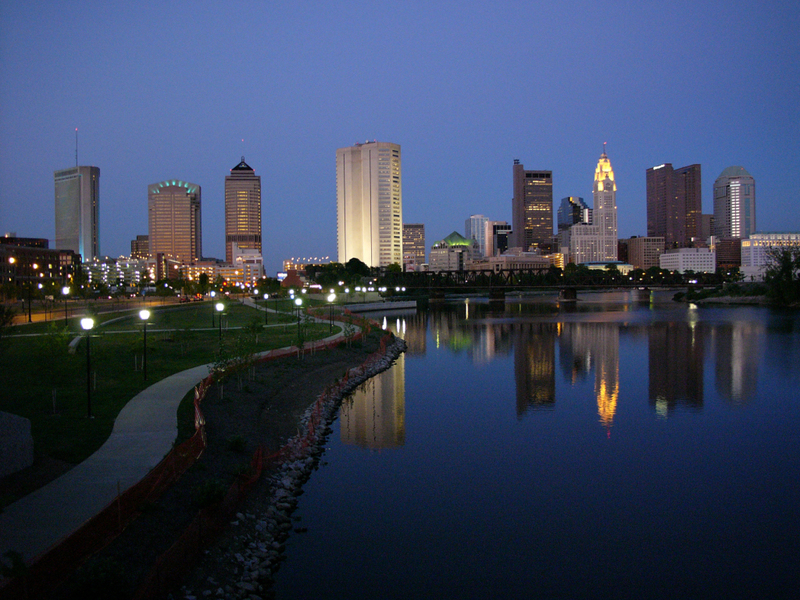 Overall, Columbus can boast of more than a 30% job growth in the technology sector over the past 10 years. Research facilities include the Aeronautical/Astronautical Research Laboratory, the Center for Automotive Research, the Biomedical Research Tower, the Electroscience Laboratory, and the Large Binocular Telescope. 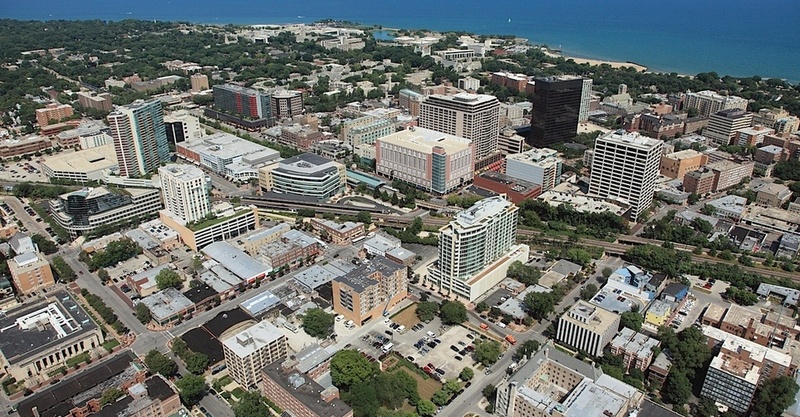 Research opportunities abound in Evanston because of the presence of Northwestern University. The Innovation and New Ventures Office listed almost 250 inventions and over 80 patents in 2013. The University is home to the Center for Interdisciplinary Exploration and Research in Astrophysics, the Northwestern Institute for Complex Systems, the Nanoscale Science and Engineering Center, the International Institute for Nanotechnology, and the Materials Research Center, among others. According to U.S. News & World Report, Northwestern University is tied for having the #34 best Computer Science program in the United States. Overall, the magazine rates Northwestern as #13 nationally, and this is in line with a #17 national ranking from Forbes and a #22 spot in the Academic Ranking of World Universities. Northwestern is one of only 62 institutions that are part of the Association of American Universities, an organization of colleges and universities dedicated to the highest standards of research and academic excellence. Northwestern has been a member for almost 100 years. Popular tech essayist Paul Graham says, “I think you only need two kinds of people to create a technology hub: rich people and nerds.” Despite its small size, Charlottesville has both. The city ranks #8 in terms of venture capital deals per 100,000 residents. Because of the University of Virginia, the area is flush with talent in the life sciences and information technology. 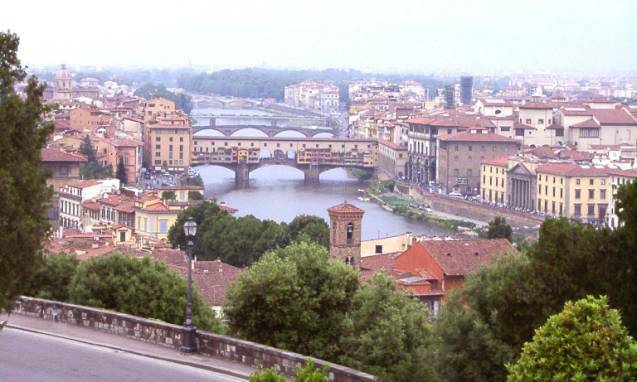 Furthermore, the region is attractive to well-to-do residents looking for new ventures. Finally, the Charlottesville area is in close proximity to other high-tech regions such as Northern Virginia, home of advanced defense and communication projects. U.S. News & World Report says that the University of Virginia has the #29 Computer Science program, tied with New York University, UC Irvine, Penn State, and the University of Minnesota at Twin Cities. In the history of the magazine, UVA has always ranked #1 or #2 among public colleges and universities. 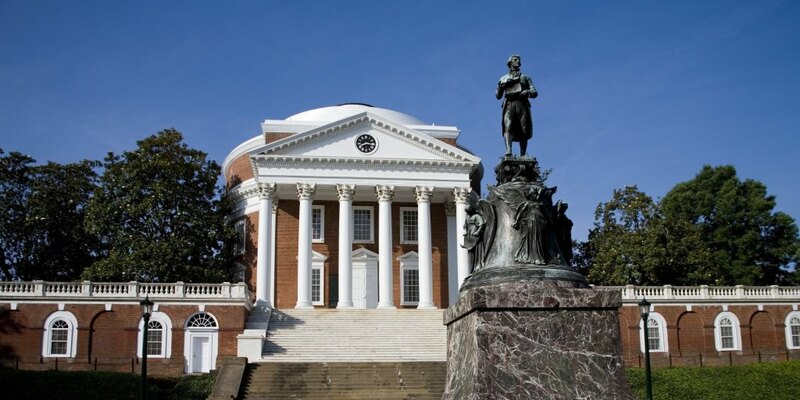 In their 2014 “College ROI Report,” PayScale.com determined that the University of Virginia ranked #56 out of more than 1300 colleges and universities. The school has a projected 20-year ROI of over $551,000, versus a cost of $94,000. The University of Virginia has been affiliated with 7 Nobel laureates, 50 Rhodes Scholars, 7 Marshall scholars, and 5 NASA astronauts. The school’s inaugural Board of Visitors had Presidents James Monroe, James Madison, and Thomas Jefferson as members. 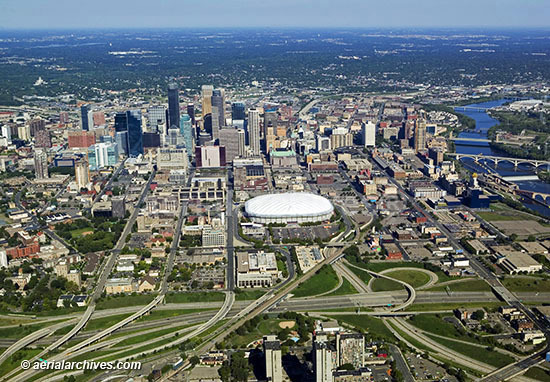 As far back as 2005, the Minneapolis-St. Paul area was considered to be far above the national average, and Popular Science deemed that Minneapolis was the “Top Tech City” in the United States. With almost 52,000 students enrolled, the University of Minnesota – Twin Cities has the sixth-largest main campus student body in the United States. 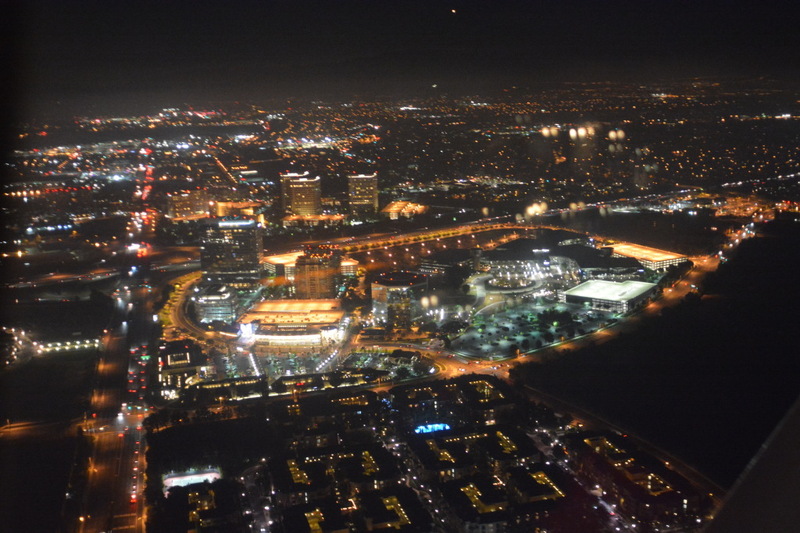 The city of Irvine is appeared on a number of “best-of” lists as a desirable place to live, including lists from BusinessWeek, CNNMoney.com, and 24/7 Wall Street. There are a number of high-tech companies in Irvine, including –ATEN technology, Epicore Software Corporation, Paragon Software Group, Vizio, the West Coast Design Center for the Ford Motor Company, semiconductor company Broadcom, computer gaming giant Blizzard Entertainment, and many, many, more. U.S. News & World Report says that the University of California at Irvine has the #29 Computer Science program, tied with New York University, Penn State, the University of Virginia, and the University of Minnesota at Twin Cities. The report also regards other UC Irvine programs highly – #11 Information Services, #29 Aerospace Engineering, #30 Mechanical Engineering, #30 Physics, #31 Civil Engineering, #34 Environmental Engineering, #39 Engineering, #43 Mathematics, #45 Materials Science Engineering, and #49 Electrical Engineering. As determined by the Carnegie Classification of Institutions of Higher Education, UC Irvine qualifies as a “very high research activity” university. Globally, UC Irvine ranks #47 according to the Academic Ranking of World Universities, as well as #1 in the nation and #5 in the world for universities less than 50 years old, according to the Times Higher Education World University Rankings. UC Irvine was judged to be #16 and #11 among the “Hundred Happiest Colleges,” according to the Daily Beast and CBS News’ MoneyWatch, respectively. As ranked by Luminosity.com, State College is the second-smartest city in the United States, and it is the third-best college town in the country, as determined by the American Institute for Economic Research. U.S. News & World Report says that Pennsylvania State University at University Park has the #29 Computer Science program, tied with New York University, UC Irvine, the University of Virginia, and the University of Minnesota at Twin Cities. Overall, the magazine has Penn State listed as the #1 college in the United States in its 2015 report. According to the job database website, Dice.com, the Baltimore area ranked #2 among American cities for the average salary for tech workers in 2013, with an average annual pay of $97,588. In 2011, there were nearly 300,000 STEM jobs offered in the Baltimore area, with more than half of those requiring extensive engineering knowledge. 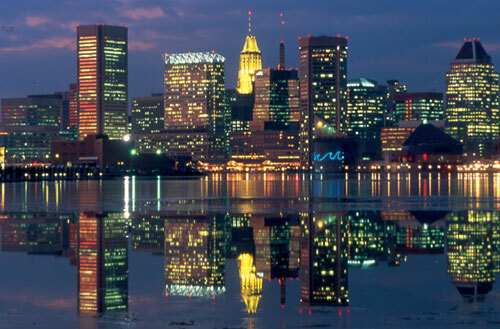 The major tech jobs in Baltimore are found at Johns Hopkins University and its Applied Physics Laboratory. U.S. News & World Report says that Johns Hopkins University has the #28 Computer Science program in the United States. In its 2015 report, the magazine rates Johns Hopkins as the #12 best overall university in the country. Globally, the University is ranked very highly– #17 by the Times Higher Education World University Rankings, #16 by the QS World University Rankings, and #17 by the Academic Ranking of World Universities. In their 2014 “College ROI Report,” PayScale.com determined that Johns Hopkins ranked #54 out of more than 1300 colleges and universities. The school has a projected 20-year ROI of over $555,000, versus a cost of $229,000. 36 Nobel laureates have been affiliated with Johns Hopkins University over its 140-year history. 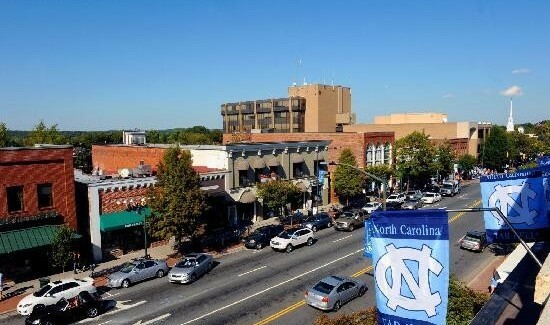 Along with Durham and Raleigh, Chapel Hill is one of the corners of the Research Triangle, one of the most important high-tech research/development areas in the United States. At the eponymous Research Triangle Park (RTP), there are over 190 companies that employ over 50,000 workers and 10,000 contractors. Some of the companies include the second-largest IBM facility in the world, a large research and development center for GlaxoSmithKline, and one of the largest Cisco Systems operations outside of Silicon Valley. 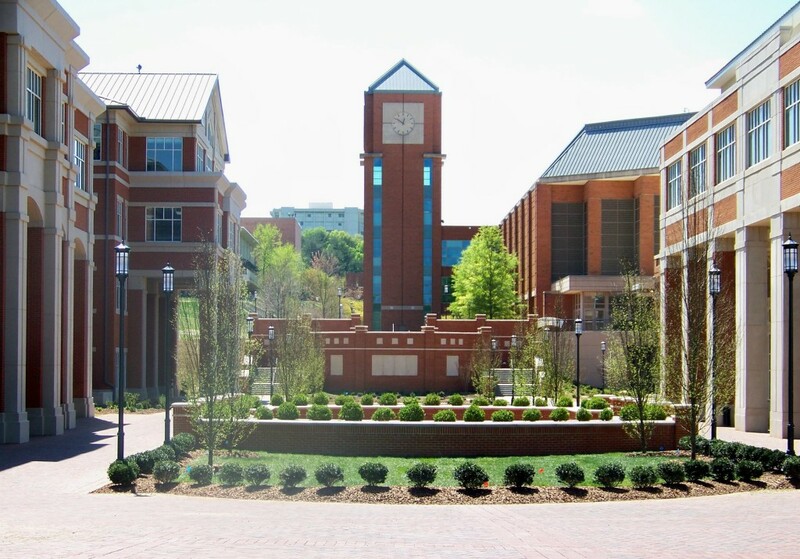 U.S. News & World Report says that the University of North Carolina at Chapel Hill has the #25 Computer Science program in the United States, tied with Duke and UMass-Amherst. The magazine also ranks UNC-Chapel Hill as the #5 public university in the United States. One of the major resources available for Computer Science and tech students in the area is provided by the Northeast Alliance for Graduate Education and the Professoriate. The NEAGEP has a stated goal of increasing the number of US students who receive doctoral degrees and who enter the professoriate in STEM fields. They provide recruiting, support, and mentoring for statistically-underrepresented minorities, such as African Americans, American Indians, Hispanics, Native Alaskans, and Native Hawaiians. U.S. News & World Report says that the University of Massachusetts at Amherst has the #25 Computer Science program in the United States, tied with UNC Chapel Hill and Duke. The magazine also ranked the school’s Artificial Intelligence program as #12, Computer Systems #18, and Electrical and Communications Engineering as #51. Other STEM-related majors include #50 for Physics, #49 for Earth Sciences, #56 for Chemistry, and #64 Math. 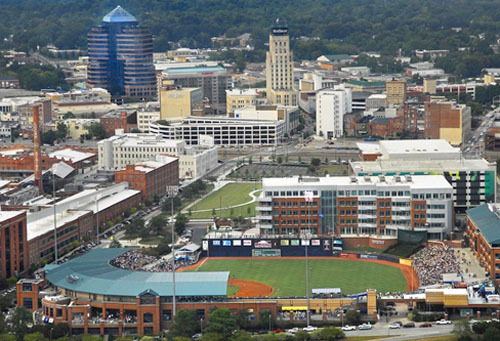 Along with Chapel Hill and Raleigh, Durham is one of the corners of the Research Triangle, one of the most important high-tech research/development areas in the United States. At the eponymous Research Triangle Park (RTP), there are over 190 companies that employ over 50,000 workers and 10,000 contractors. U.S. News & World Report says that Duke University has the #25 Computer Science program in the United States, tied with UNC Chapel Hill and UMass-Amherst. At the graduate level, the magazine also ranks several programs in the Top 10 in the country, including – biological sciences, engineering, and physics. In its 2015 report, U.S. News & World Report ranks Duke as the #8 best overall university in the country. Duke is regarded as one of the best universities in the world, ranking #17 in the Times Higher Education World University Rankings, #23 in the QS World University Rankings, and #31 in the Academic Ranking of World Universities in 2013. In their 2014 “College ROI Report,” PayScale.com determined that Duke ranked #39 out of more than 1300 colleges and universities. The school has a projected 20-year ROI of over $591,000, versus a cost of $230,000. in July of 2014, president Barack Obama announced that the Raleigh-Durham area will be home to a new manufacturing innovation hub, primarily for the development of wide bandgap semiconductors. 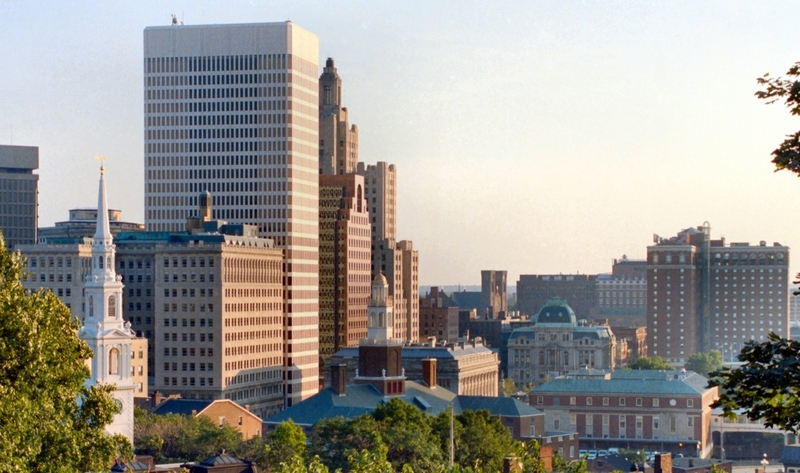 For recent graduates in the computer or text fields, Connecticut promotes the Connecticut Technology Council, a statewide association of tech-oriented companies that provide leadership, advocacy, assistance, and community for growing companies. It is an organization made up of over 2000 companies that employ over 200,000 workers. Their goal is to make Connecticut a leader in creativity, training, and mentoring to high-potential tech firms. U.S. News & World Report says that Yale University has the #20 Computer Science program in the United States, tied with Rice and Brown. 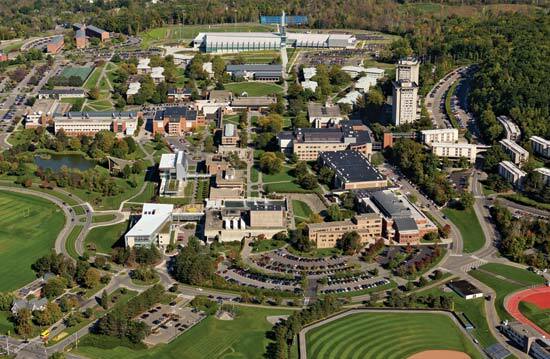 In its 2015 report, the magazine rates year will as the #2 best college in the country. According to the World University Rankings of Quacquarelli Symonds (QS), the British company that specializes in information about education and study abroad, Yale ranks #34 in the world for Computer Science and Information Systems. Compared globally, Yale ranks #8 in the QS World University Rankings and #11 in both the Academic Ranking of World Universities and the Times Higher Education World University Rankings. In their 2014 “College ROI Report,” PayScale.com determined that Yale ranked #48 out of more than 1300 colleges and universities. The school has a projected 20-year ROI of over $560,000, versus a cost of $230,000. The Yale library is the third-largest academic library in the nation, and it contains more than 15 million volumes. According to the job-hunting site Indeed.com, Houston ranks #6 among all American cities for the number of job openings for computer programmers. 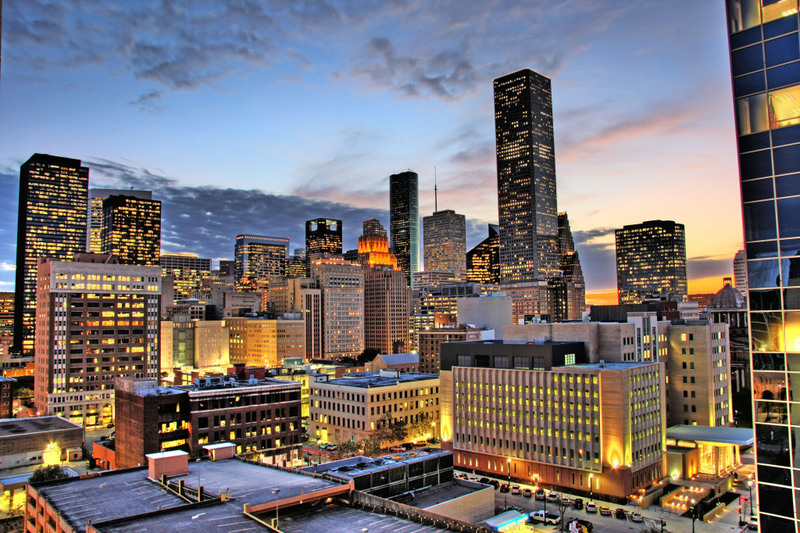 As of June 2014, there were over 10,000 STEM jobs available in the Houston area. Dice.com, the job database website, Houston ranked #8 among American cities for the average salary for tech workers in 2013 with an average annual pay of $92,475. U.S. News & World Report says that Rice University has the #20 Computer Science program in the United States, tied with Brown and Yale, and the magazine ranked the school #19 overall among national universities in its 2015 report. As of 2013, Rice has been named in the top five for “Best Value in Private Colleges” by Kiplinger’s Personal Finance magazine for six consecutive years. In their 2014 “College ROI Report,” PayScale.com determined that Rice ranked #29 out of more than 1300 colleges and universities. The school has a projected 20-year ROI of over $633,000, versus a cost of $200,000. Rice University has an affiliation with three Nobel laureates, two Pulitzer Prize winners, 12 Rhodes Scholars, 24 Marshall Scholars, 11 Truman Scholars, and 101 Fulbright Scholars. Computer and tech graduates in the Providence area can satisfy any entrepreneurial yearnings with the help of Betaspring, a startup accelerator program specifically aimed at technology and design innovators who are looking into launching their own company. In this program, startup entrepreneurs work with mentors during an immersive and intensive 13-week process intended to turn mere ideas into viable and fundable operating companies. U.S. News & World Report says that Brown University has the #20 Computer Science program in the United States, tied with Rice and Yale. Overall, the magazine rates Brown as the #16 school among national universities. According to Newsweek, Brown ranks as the #5 “Brainiac School,” behind Yale, Princeton, Harvard, and Stanford. In their 2014 “College ROI Report,” PayScale.com determined that Brown ranked #30 out of more than 1300 colleges and universities. The school has a projected 20-year ROI of over $633,000, versus a cost of $228,000. 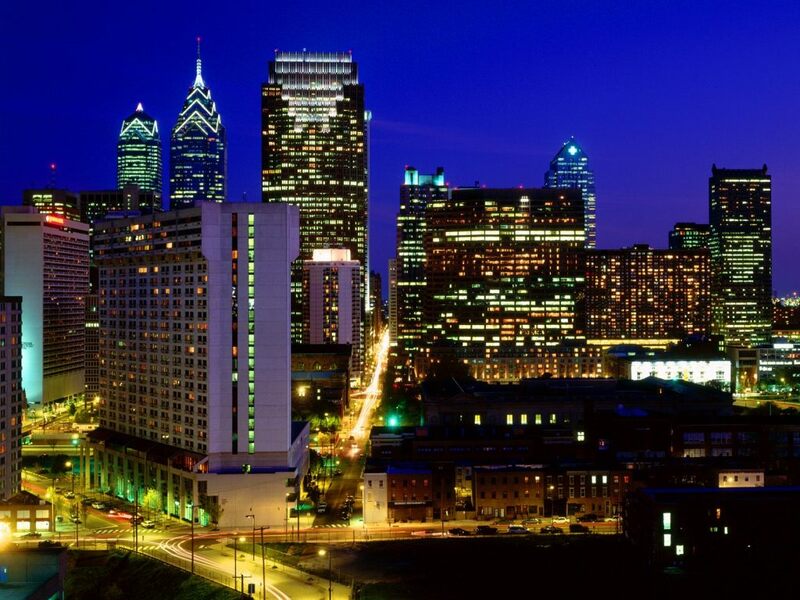 In recent years, Philadelphia has shifted to an economy that is based largely in part on information technology, with financial activities accounting for the most prominent sector. To reflect the city’s growing identity as a tech hub, local web publication Technical.ly Philly has since 2011 posted “Philly Tech Week,” designed to showcase the burgeoning Philadelphia high-tech scene and the entrepreneurs behind. The inaugural event in 2011 drew 4000 attendees, but the latest event, in April of 2014 attracted 25,000 visitors and was sponsored by AT&T and over 300 other partners. Nearly 150 events were scheduled, everything from robotics to advance coding to entrepreneurship to presentations by hackers, politicians, and media moguls about how technology is shaping our world. U.S. News & World Report says that the University of Pennsylvania has the #19 Computer Science program in the United States. The magazine also rates Penn high among national universities, rating it as the #8 university in the country, as does the Academic Ranking of World Universities (#14), Forbes (#11), and the Washington Monthly (#21). Globally, the University of Pennsylvania is listed as the #13 in the world for the QS World University Rankings, #15 for the Times Higher Education World University Rankings, and #16 for the ARWU. In their 2014 “College ROI Report,” PayScale.com determined that the University of Pennsylvania ranked #26 out of more than 1300 colleges and universities. The school has a projected 20-year ROI of over $641,000, versus a cost of $231,000. Other major local schools include Temple University and Villanova University. In the past 10 years, nine graduates or faculty members from the University of Pennsylvania have won a Nobel Prize. 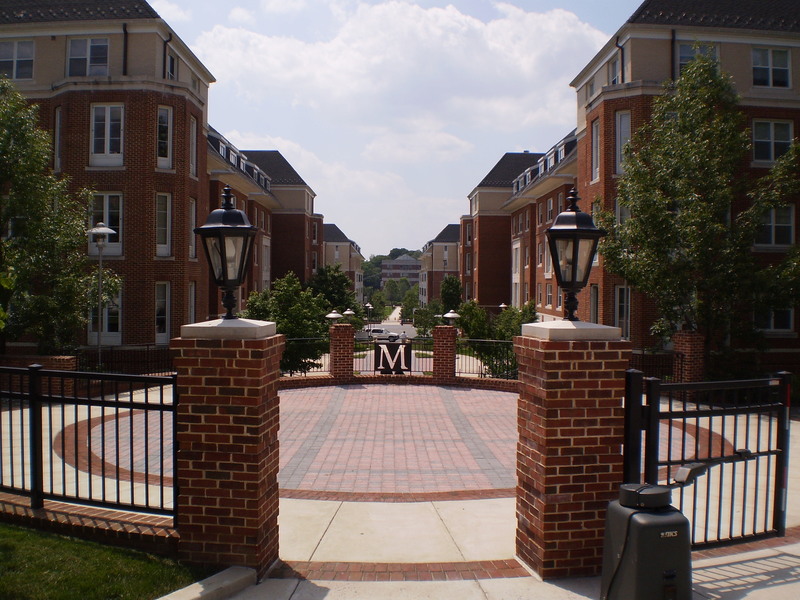 The University of Maryland is the largest employer, providing jobs for over 16,000 people. Other jobs that require STEM or tech skills include the Food and Drug Administration, the National Archives and Records Administration, and the American Center for Physics. Because of the University’s close proximity with Washington DC, the school has a number of strong research partners, including several government agencies – the National Science Foundation, the Department of Homeland Security, NASA, The National Security Agency, and The National Institute of Standards and Technology. Some of the products of these partnerships include the launch of the “Deep Impact” spacecraft in 2005, the Space Systems Laboratory, which explores human-robotic interaction for applications in the astronautics field, and the Center for Technology in Systems Management, which advances technology and systems analysis for the good of mankind. Unique at the University of Maryland at College Park is a “living and learning” honors program entitled Digital Cultures and Creativity. Under this program, DCC students take a two-year curriculum focused on digital culture and innovative thinking in the digital world. The largest sector of San Diego’s economy is dominated by the military/defense industry. Among the national defense contractors in San Diego are General Atomics, Cubic, and NASSCO. Over 15,000 businesses – roughly 5% of all civilian jobs in the county – are due to Department of Defense contracts. 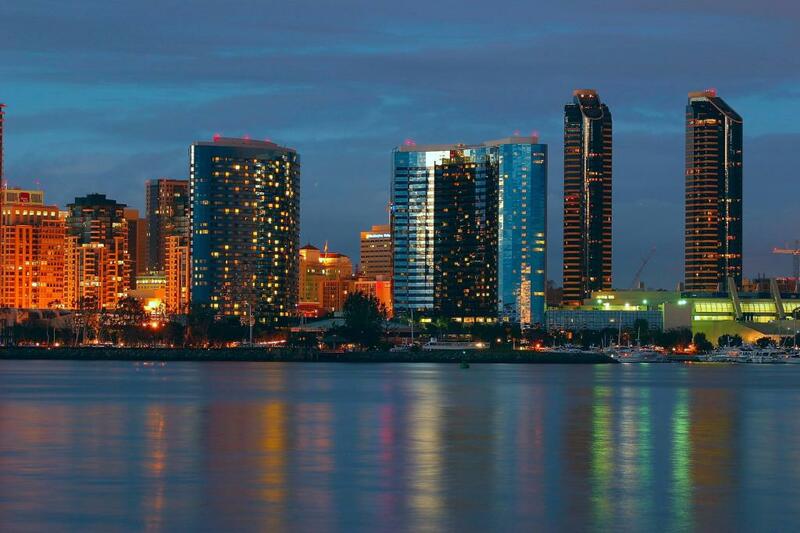 California’s office of economic development named San Diego as an “iHub Innovation Center” to promote a collaborative effort between wireless technology and life science. The city has a number of leading wireless cellular technology companies, including QUALCOMM (the largest private-sector technology employer in the city), Nokia, LG Electronics, Cricket Communications, and Novotel Wireless. San Diego is also home to over 400 biotechnology companies, the second-largest biotech cluster in the country. According to the job-hunting site Indeed.com, San Diego ranks #9 among all American cities for the number of job openings for computer programmers. In their 2014 “College ROI Report,” PayScale.com determined that UC San Diego ranked #56 out of more than 1300 colleges and universities. The school has a projected 20-year ROI of over $550,000, versus a cost of $122,000. The same website says that UC San Diego ranks #9 for the average mid-career compensation for Computer Science graduates, with a salary of $115,000. UC San Diego counts among its faculty, alumni, and researchers recipients of two Pulitzer Prizes, two Fields Medals, eight MacArthur Fellowships, eight National Medals of Science, and 20 Nobel Prizes. According to the job-hunting site Indeed.com, New York City ranks #1 among all American cities for the number of job openings for computer programmers. According to the job database website, Dice.com, New York City ranked #6 among American cities for the average salary for tech workers in 2013 with an average annual pay of $93,915. As of June 2014, there were over 28,000 STEM jobs available in the New York City area. U.S. News & World Report says that Columbia has the #15 Computer Science program in the United States, tied with the University of California at San Diego, and the University of Maryland at College Park. The magazine also says that New York University has the #29 Computer Science program, tied with Penn State, UC Irvine, and the University of Minnesota at Twin Cities. 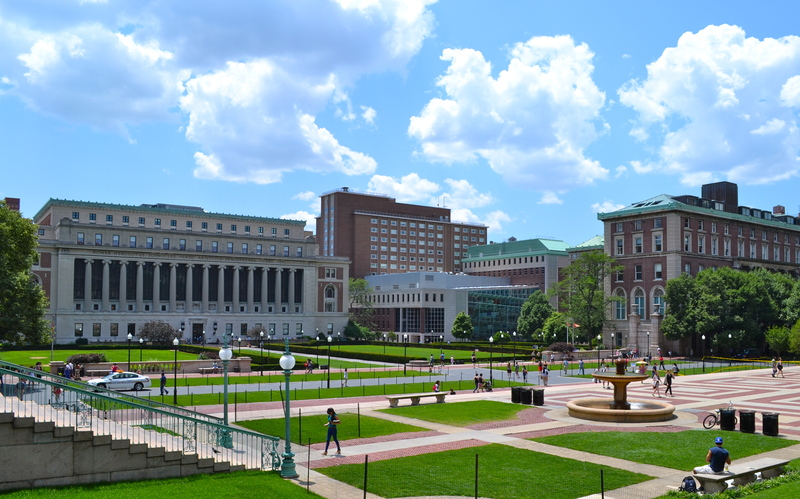 In its 2015 report, U.S. News & World Report ranks Columbia University as the #4 best overall college in the nation. According to the World University Rankings of Quacquarelli Symonds (QS), the British company that specializes in information about education and study abroad, Columbia ranks #39 in the world for Computer Science and Information Systems, while New York University is ranked #49. In their 2014 “College ROI Report,” PayScale.com determined that Columbia ranked #32 out of more than 1300 colleges and universities. The school has a projected 20-year ROI of over $614,000, versus a cost of $237,000. Over 100 Nobel Prize laureates have been associated with Columbia University as staff, faculty, or students. 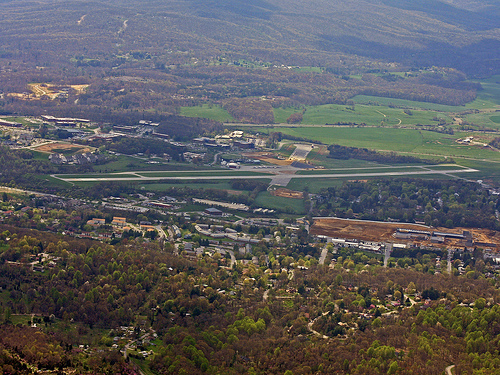 Virginia Tech drives the local economy, employing almost 15,000 people. Tech jobs and opportunities can also be found at the Virginia Tech Corporate Research Center, which is a science park that encompasses such tech firms as library automation software company VTLS Incorporated, Honeywell International Incorporated, and the National Weather Service. Other major tech employers in the area include Moog, a worldwide designer and manufacturer of motion and fluid controls and control systems for applications in aerospace/defense, industry, and medicine, and the cloud-computing company Rackspace. According to U.S. News & World Report, Virginia Polytechnic Institute and State University is ranked #15 among all Computer Engineering schools where a doctoral degree is the highest degree offered. The magazine also says that Virginia Tech has the #40 Computer Science program in the United States. Other STEM-related majors that rank highly include: Engineering Science and Mechanics – #8, Industrial and Systems Engineering – #8 Civil Engineering – #10, Biological Systems Engineering – #11, Environmental Engineering – #11, Aerospace and Ocean Engineering – #14, Mechanical Engineering – #14, and Chemical Engineering – #20th. In their 2014 “College ROI Report,” PayScale.com determined that Virginia Tech ranked #46 out of more than 1300 colleges and universities. The school has a projected 20-year ROI of over $561,000, versus a cost of $98,000. The same website says that Virginia Tech ranks #7 for the average mid-career compensation for Computer Science graduates, with a salary of $117,000. 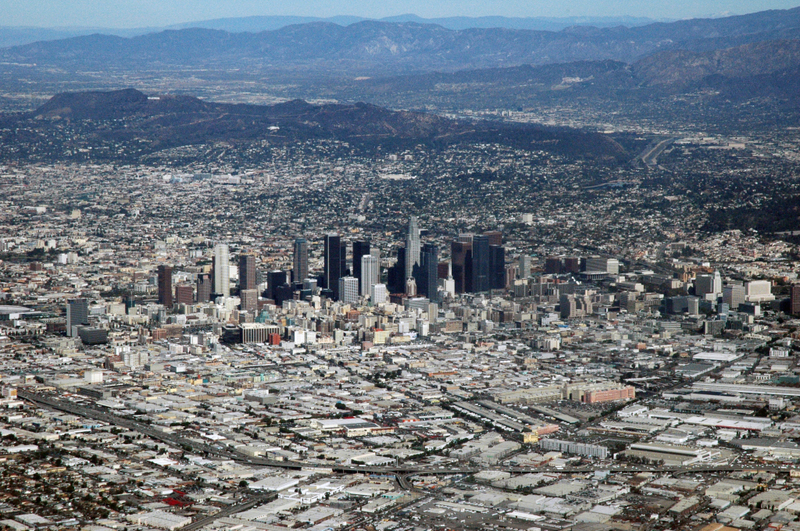 Portions of Los Angeles are becoming known as “Silicon Beach,” because of the hundreds of new tech startups dotting the area. This makes it the second or third largest tech hub in the world, depending upon the source cited. Companies that have offices in the area include MySpace, BuzzFeed, AOL, YouTube, Yahoo, and Google. According to the job database website, Dice.com, Los Angeles ranked #3 among American cities for the average salary for tech workers in 2013, with an average annual pay of $95,815. As of June 2014, there were almost 16,000 STEM jobs available in the Los Angeles area. Los Angeles has the second-most number of videogame production studios in the country, according to Gamejobhunter.com, trailing only San Francisco. According to the World University Rankings of Quacquarelli Symonds (QS), the British company that specializes in information about education and study abroad, UCLA ranks #14 in the world for Computer Science and Information Systems, while the Institute of Higher Education at Shanghai Jiao Tong University says that USC ranks #11 in the world for their combined Engineering and Computer Sciences departments. According to U.S. News & World Report, USC is ranked #15 among all Computer Engineering schools where a doctoral degree is the highest degree offered, and #25 among all universities in the nation. The magazine also says that UCLA has the #13 Computer Science program in the United States, tied with the University of Michigan at Ann Arbor. 15 Nobel laureates have been affiliated with UCLA. 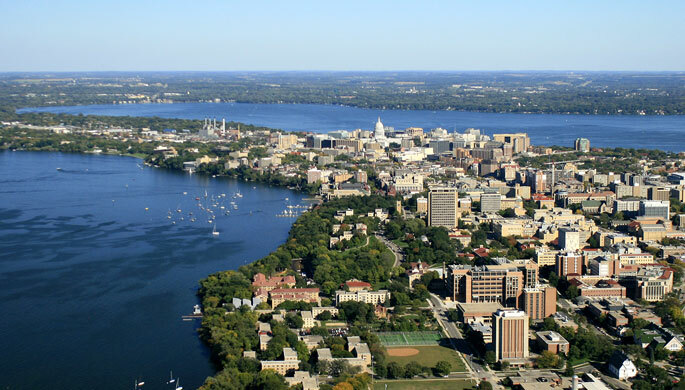 As approximately one out of every four jobs in Madison is in the STEM field, and over 48% of adults over the age of 25 in the city have at least a bachelor’s degree. Nine out of the 100 largest employers in the area are in the biotechnology field. Between the years of 2007 – 2012, Dane County, Wisconsin experienced a growth of tech/info jobs of approximately 25%. Two important tech startups in Madison include Sonic Foundry, an audio/video streaming service that focuses on educational webcasting, and Raven Software, a gaming company that merged with Activision and became one of the creators of the immensely-popular videogame Call of Duty. According to U.S. News & World Report, the University of Wisconsin at Madison is ranked #14 among all Computer Engineering schools where a doctoral degree is the highest degree offered. The magazine also says that the University has the #11 Computer Science program in the United States, tied with Caltech. Globally, UW-Madison ranks highly – the Academic Ranking of World Universities – #24, the Times Higher Education World University Rankings – #30, and the QS World University Rankings – #38. In 2012, the University of Wisconsin at Madison spent more than $1 billion on research, the third-most among universities in the country. 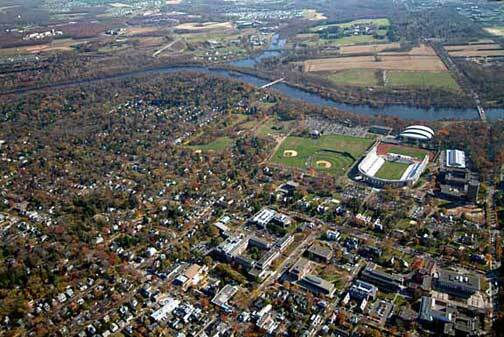 Princeton is very popular with many STEM-industry companies, for two primary reasons. First, because of the presence of a world-class university, employers have a deep pool of talent from which to draw. 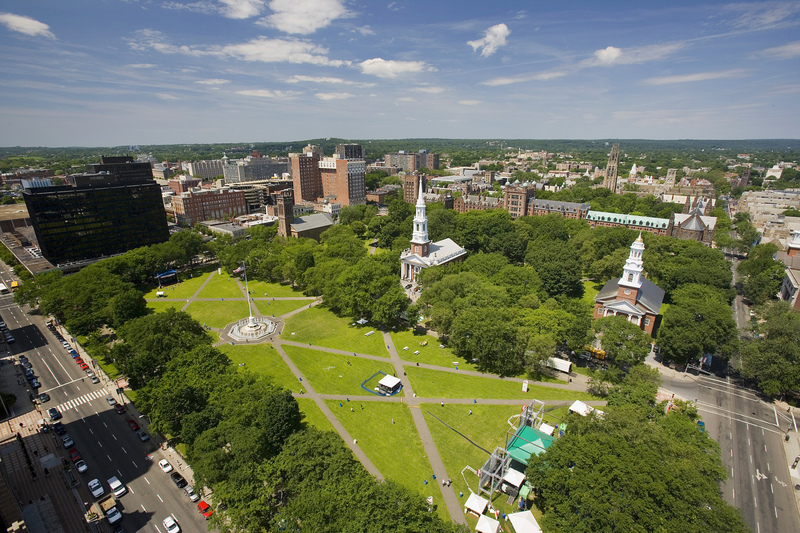 Secondly, although the city of Princeton only has a population of approximately 30,000, its location puts it roughly halfway between New York City and Philadelphia. This makes resources and travel extremely convenient. Besides Princeton University itself, major opportunities that exist in the area include the Princeton Plasma Physics Laboratory, the Institute for Advanced Study, Siemens Corporate Research, and Dow Jones & Company. According to U.S. News & World Report, Princeton University is ranked #13 among all Computer Engineering schools where a doctoral degree is the highest degree offered. The magazine also says that Princeton has the #8 Computer Science program in the United States. In the World University Rankings of Quacquarelli Symonds (QS), the British company that specializes in information about education and study abroad, Princeton ranks #11 in the world for Computer Science and Information Systems. Overall, Princeton is regarded as one of the very top universities in existence. Nationally, the university is ranked #1 by U.S. News & World Report, #3 by Forbes, #6 by the Academic Ranking of World Universities, and #27 by Washington Monthly. Globally, Princeton is ranked #6 by the ARWU, #6 by the Times Higher Education World University Rankings, and #6 by the QS World University Rankings. In their 2014 “College ROI Report,” PayScale.com determined that Princeton ranked #13 out of more than 1300 colleges and universities. The school has a projected 20-year ROI of over $690,000, versus an education investment of $217,000. Princeton is the fourth-oldest institution of higher learning in the United States, and was founded before the American Revolutionary War. The school has been affiliated with 17 National Medal of Science winners, 201 Rhodes Scholars, and 37 Nobel laureates. According to the job-hunting site Indeed.com, Seattle ranks #3 among all American cities for the number of job openings for computer programmers. In the years between 2007-2012, King County, Washington experienced a 13.5% growth of tech/info jobs. The job database website, Dice.com, Seattle ranked #3 among American cities for the average salary for tech workers in 2013, with an average annual pay of $95,048. Approximately one-quarter of all jobs in the Seattle area are STEM jobs, with an average salary of almost $80,000. In 2011, more than 140,000 jobs in Seattle necessitated computer skills, while more than 240,000 needed engineering skills. Seattle is home to Microsoft, Amazon, and aircraft manufacturer Boeing, which employs more than 76,000 people. According to U.S. News & World Report, the University of Washington is ranked #12 among all Computer Engineering schools where a doctoral degree is the highest degree offered. The magazine also says that the University of Washington has the #6 Computer Science program in the United States, tied with Cornell. According to the World University Rankings of Quacquarelli Symonds (QS), the British company that specializes in information about education and study abroad, the University of Washington ranks #33 in the world for Computer Science and Information Systems. 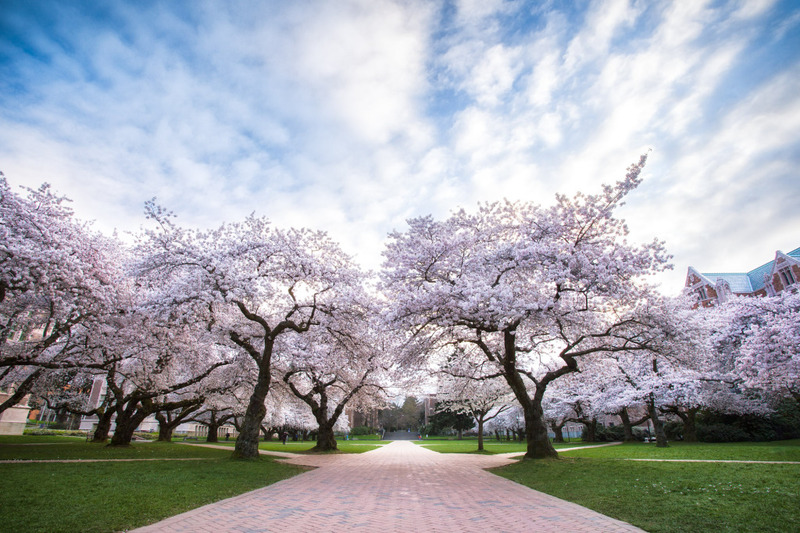 The faculty of the University of Washington includes six Nobel Prize laureates, two Pulitzer Prize winners, 15 MacArthur Fellows, and 29 winners of the Presidential Early Career Awards in Science and Engineering. West Lafayette is a national tech hub that is driven by the Purdue Research Park, which, at 725 acres, is the largest research park affiliated with a university in the United States. The site employs over 3000 people across a wide spectrum of over 100 tech companies. Some of the resident companies include Arxan Technologies Incorporated, Akina Incorporated, Butler International, video e-mail company CoVideo, Delphi E & S, shape-search company Imaginetics LLC, and Simulex Incorporated, which uses the latest in gaming technology to create synthetic environments for business and corporate analytical applications. According to U.S. News & World Report, Purdue University at West Lafayette is ranked #11 among all Computer Engineering schools where a doctoral degree is the highest degree offered. The magazine also ranks Purdue as having the #20 best Computer Science program in the country. The Academic Ranking of World Universities ranks the Engineering program at Purdue #10 in the world, within their Engineering/Technology and Computer Science rankings. 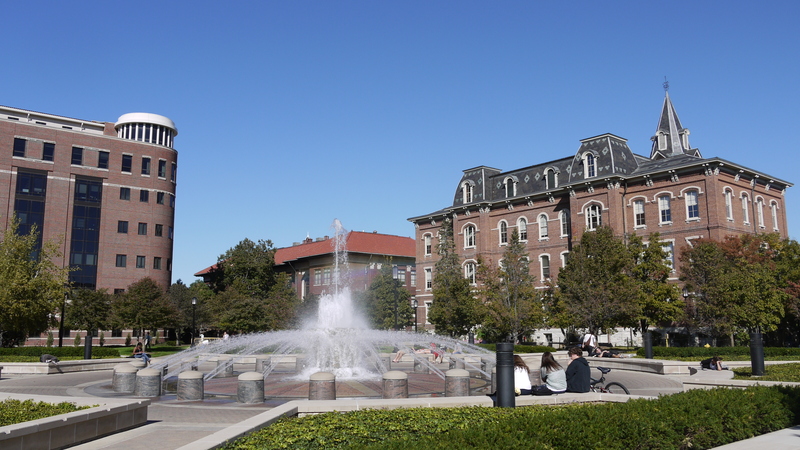 In their 2014 “College ROI Report,” PayScale.com determined that Purdue ranked #71 out of more than 1300 colleges and universities. The school has a projected 20-year ROI of over $519,000, versus a cost of $98,000. Students, faculty, and researchers who have had an affiliation with Purdue have been awarded 13 Nobel Prizes in five different fields. Even though Ithaca has a seasonal population that reflects the very definition of a college town, the city has made strong efforts to retain tech business and promote cutting-edge entrepreneurship. To that end, the Cayuga Venture Fund was created. Some of their success stories include voice-over-IP leader AllWorX Corporation, laser chip manufacturer BinOptics, Chequed, whose software can accurately predict the performance of a newly-hired employee, cloud computing company Dooli, GiveGab, a social network for volunteers, and the intuitive entertainment application Instinctiv, and many, many others. According to U.S. News & World Report, Cornell University is ranked #10 among all Computer Engineering schools where a doctoral degree is the highest degree offered. 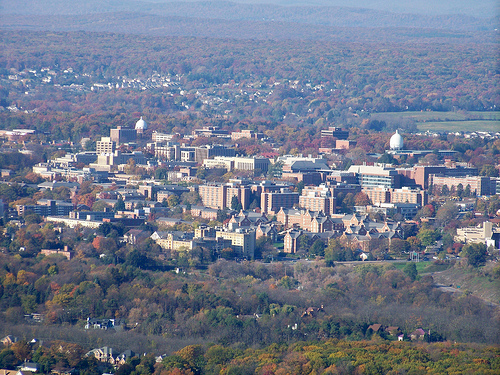 The magazine also says that Cornell has the #6 Computer Science program in the United States, tied with the University of Washington, and ranks the University #15 overall. According to the World University Rankings of Quacquarelli Symonds (QS), the British company that specializes in information about education and study abroad, Cornell ranks #26 in the world for Computer Science and Information Systems. Cornell ranks very highly internationally, coming in at #13 in the Academic Ranking of World Universities, #15 in the QS World University Rankings, and #19 in the Times Higher Education World University Rankings. In their 2014 “College ROI Report,” PayScale.com determined that Cornell ranked #47 out of more than 1300 colleges and universities. The school has a projected 20-year ROI of over $560,000, versus a cost of $228,000. The same website says that Cornell ranks #8 for the average mid-career compensation for Computer Science graduates, with a salary of $116,500. Cornell has been affiliated with 41 Nobel laureates, 34 Marshall Scholars, and 29 Rhodes Scholars. Caltech and the Jet Propulsion Laboratory are two of the three largest employers in Pasadena, providing nearly 9000 high-tech jobs. Other industry opportunities can be found with Tetra Tech, the Jacobs Engineering Group, and Cogent Systems, a manufacturer of automated fingerprint identification systems (AFIS). According to U.S. News & World Report, Caltech is ranked #9 among all Computer Engineering schools where a doctoral degree is the highest degree offered. The magazine also says that Caltech has the #11 Computer Science program in the United States, tied with the University of Wisconsin at Madison, and overall, the #10 university in the country. According to the World University Rankings of Quacquarelli Symonds (QS), the British company that specializes in information about education and study abroad, Caltech ranks #46 in the world for Computer Science and Information Systems. The global rankings of Caltech are very high – #10 by the QS World University Rankings, #6 by the Academic Ranking of World Universities, and #1 by the Times Higher Education World University Rankings. In the last ranking, Caltech was found to be the best university in the world in two separate categories – Engineering & Technology and Physical Sciences. In their 2014 “College ROI Report,” PayScale.com determined that Caltech ranked # 2 out of more than 1300 colleges and universities. The school has a projected 20-year ROI of over $837,000, versus a cost of $220,000. Furthermore, Caltech undergraduates have the highest starting of any college or university in the country, with an average first-year compensation of over $67,000. 33 Nobel prizes and 70 United States National Medals of Science or Technology have been awarded to Caltech alumni or faculty. 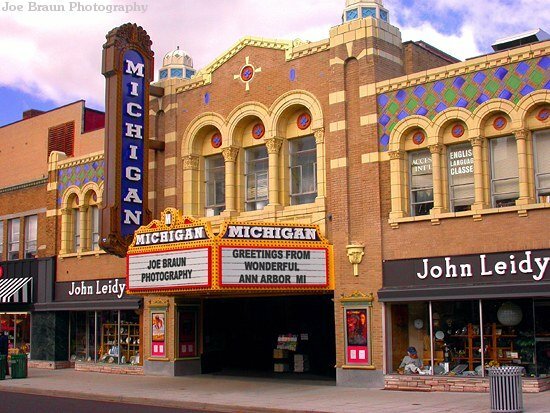 The Ann Arbor area is one of the fastest-growing tech hubs in the country. From 2007-2012, Washtenaw County, Michigan, enjoyed a growth in info/tech jobs of 14.8%, the 18th-highest rate in the nation for that time period. Many companies are drawn to the area because of the University of Michigan’s research money, which is well over $1 billion a year. A host of high-tech companies are located in Ann Arbor, including Internet security companies Arbor Networks and Barracuda Networks, academic digital library JSTOR, information and data provider ProQuest LLC, entertainment giant All Media Guide, online weather service the Weather Underground, and IP television provider Zattoo, among many more. In their 2014 “College ROI Report,” PayScale.com determined that the University of Michigan ranked #66 out of more than 1300 colleges and universities. The school has a projected 20-year ROI of over $530,000, versus a cost of $103,000. Overall, Michigan is rated as one of the top universities in the world, ranking #22 in the world with both the Academic Ranking of World Universities, and the QS World University Rankings. 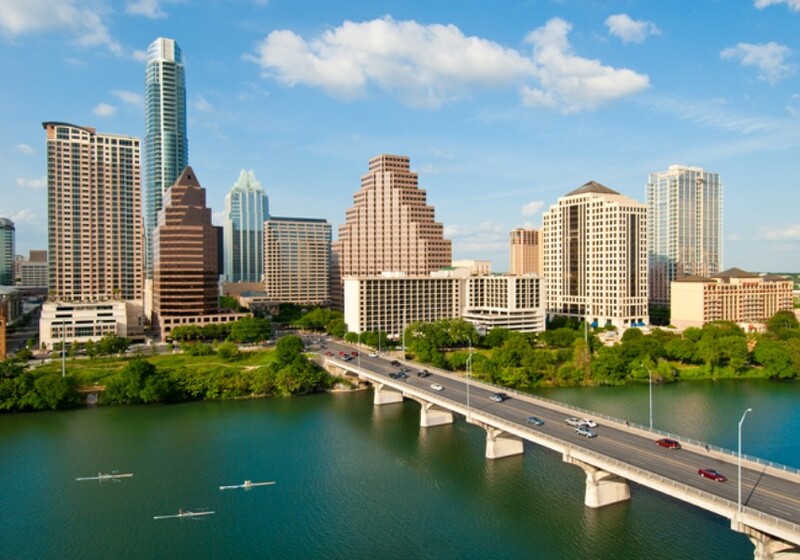 The city of Austin is one of the fastest-growing tech hubs in the United States, ranking #16 in the nation in the period between 2007-2012, with a growth rate of 12.5% throughout its home of Travis County. This is primarily due to two main factors. First, the University of Texas at Austin attracts the second-most federal research grants of any American university that does not also have a medical school, behind only MIT. In addition, the school has an Office of Technology Commercialization, which is a technology transfer center that can help move research into actual commercially-viable development. This office has helped create dozens of startups and hundreds of patents since its inception in 2003. The second major factor for the tech buzz in the Austin area is the availability of world-class equipment on and near the UT Austin campus. The University has the Texas Advanced Computing Center, featuring the Ranger supercomputer, considered to be among the most powerful supercomputers on earth, and the Microelectronics Research Center, which performs micro-and nanoelectronics research in an immense cleanroom, among its many other facilities. According to U.S. News & World Report, the University of Texas at Austin is ranked #7 among all Computer Engineering schools where a doctoral degree is the highest degree offered. The magazine also says that UT Austin has the #9 Computer Science program in the United States, tied with Georgia Tech, and the #52 university, overall. UT Austin is also ranked globally – #25 by the Times Higher Education World University Rankings, #35 by the Academic Rankings of World Universities, and #71 in the world by the QS World University Rankings. Among the alumni of the University of Texas at Austin are 20 Marshall Scholars, 20 Pulitzer Prize winners, 28 Rhodes Scholars, and 9 astronauts. 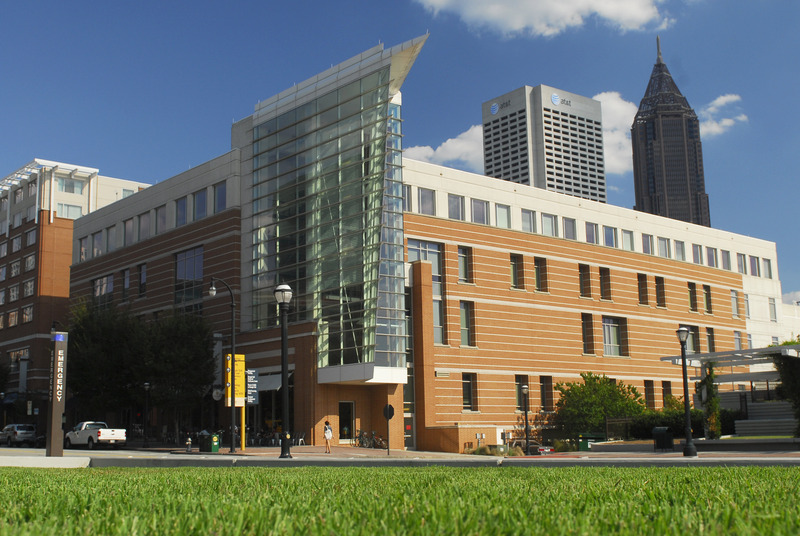 Tech entrepreneurs in Atlanta can receive help and guidance from the Advanced Technology Development Center, a science and business incubator. Membership is open to all technology entrepreneurs in the state of Georgia. Since 1999, the ATDC has helped raise more than $1 billion in venture capital, started over 100 companies, and generated over 50,000 man-hours of employment. Success stories of the ATDC include online home improvement retailer ItzaFlash, augmented reality provider Merlin Mobility, touch technology developer NextInput, predictive analytics company Predikto, and Spectropath, biomedical technology that can help physicians identify cancer in real time during surgery, among many other companies. According to the job-hunting site Indeed.com, Atlanta ranks #7 among all American cities for the number of job openings for computer programmers. According to U.S. News & World Report, Georgia Institute of Technology is ranked #6 among all Computer Engineering schools where a doctoral degree is the highest degree offered. The magazine also says that Georgia Tech has the #9 Computer Science program in the United States, tied with UT Austin. According to the World University Rankings of Quacquarelli Symonds (QS), the British company that specializes in information about education and study abroad, Georgia Tech ranks #44 in the world for Computer Science and Information Systems. In their 2014 “College ROI Report,” PayScale.com determined that Georgia Tech ranked #6 out of more than 1300 colleges and universities. The school has a projected 20-year ROI of over $755,000, versus an education investment of $92,000. Also according to the same website, Georgia Tech has the sixteenth-highest pay scale for mid-career computer science majors, with an average salary of $111,000. Georgia Tech’s Division of Professional Practice operates four voluntary programs that allow students to gain employment experience in the real world by completing internships with employers. It is the largest such program in the United States, and involves thousands of students and businesses every year. For five consecutive years, it has been listed as one of the Top 10 “Programs That Really Work” by U.S. News & World Report. Berkeley is in Alameda County which is considered to be part of the San Francisco Metropolitan Statistical Area. 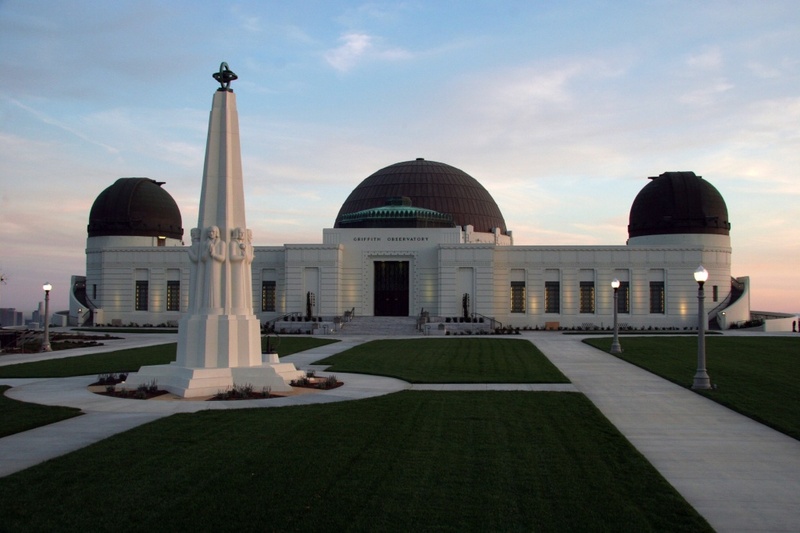 This is the greatest tech hub in the United States, and between 2007-2012, the MSA achieved an astronomical growth rate of 27.8%, second in the country only to the city of San Francisco itself. 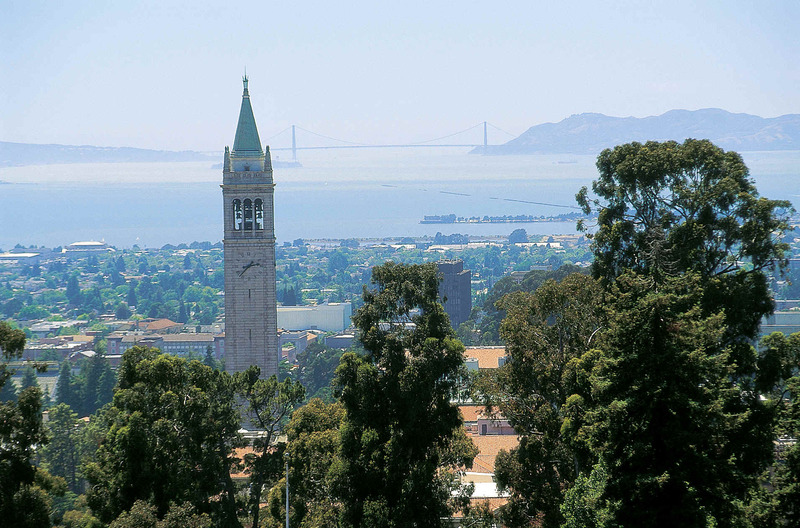 The largest employers in the city of Berkeley are the University of California at Berkeley and the Lawrence Berkeley National Laboratory, and between these two facilities over 18,000 people are employed, many in high-paying tech jobs. By itself, the Lawrence Berkeley National Laboratory employs over 4000 people and performs advanced research within 14 separate scientific disciplines. In addition, the Laboratory itself hosts six other world-class scientific facilities – the Joint Genome Institute, the National Center for Electron Microscopy, the Advanced Light Source, the Energy Sciences Network, the National Energy Research Scientific Computing Center, and the Molecular Factory. According to U.S. News & World Report, the University of California at Berkeley is ranked #5 among all Computer Engineering schools where a doctoral degree and is the highest degree offered. The magazine also says that UC Berkeley has the best Computer Science program in the United States among public universities. UC Berkeley is considered to be the premier “Public Ivy” in the country. According to the World University Rankings of Quacquarelli Symonds (QS), the British company that specializes in information about education and study abroad, UC Berkeley ranks #7 in the world for Computer Science and Information Systems. Overall, UC Berkeley rates very high globally, ranking #4 in the Academic Rankings of World Universities, #8 in the Times Higher Education World University Rankings, and #25 in the QS rankings. In their 2014 “College ROI Report,” PayScale.com determined that UC Berkeley ranked #22 out of more than 1300 colleges and universities. The school has a projected 20-year ROI of over $654,000, versus an education investment of $134,000. Also according to the same website, UC Berkeley has the highest pay scale for mid-career computer science majors, with an average salary of $141,400. Since its creation, 12 Nobel Prizes and 13 National Medals of Science have been awarded to researchers at the Lawrence Berkeley National Laboratory. In addition, the Laboratory is responsible for the discovery of 14 elements on the periodic table. Because of the University, the Urbana-Champaign area is a prime destination for tech, IT, and STEM job-seekers and entrepreneurs. The Center for Measuring University Performance rates the school as one of the top 25 research colleges in the country because of the amount of research dollars flowing into the region and the exceptional infrastructure and facilities available. All of this bleeds into the local economy and the local scientific/research community. Research Park is one of the most highly-regarded technology and startup incubators in the country, ranking in the Top 10 by Forbes in 2010 and 2011, by Inc.com in 2011, winning the “Outstanding Research Park Award” by the Association of University Research Parks in 2011, and being named one of the “Three College Town Incubators to Watch” by Inc.com in June 2013. Currently, the facility hosts over 90 companies that employ nearly 2000 people. In addition, the University hosts the National Center for Supercomputing Applications (NCSA), which provides cutting-edge computing resources, data storage, and high-end hardware to support researchers around the country. To date, almost 1500 researchers, scientists, engineers, and students have used the NCSA in more than 100 projects. According to the World University Rankings of Quacquarelli Symonds (QS), the British company that specializes in information about education and study abroad, UIUC ranks #32 in the world for Computer Science and Information Systems. Globally, UIUC ranks quite highly in the eyes of several sources – #28 according to the Academic Ranking of World Universities, #33 in the Times Higher Education World University Rankings, and #56 as determined by the QS World University Rankings. In their 2014 “College ROI Report,” PayScale.com determined that UIUC ranked #61 out of more than 1300 colleges and universities. The school has a projected 20-year ROI of over $542,000, versus a cost of $113,000. The same website says that UIUC ranks #20 for the average mid-career compensation for Computer Science graduates, with a salary of $106,000. In 1952, UIUC built the Illinois Automatic Computer, nicknamed ILIAC, the first computer that was both and completely owned by an educational institution. Palo Alto/Stanford is in Santa Clara County, which is considered to be part of the San Francisco Metropolitan Statistical Area. This is the greatest tech hub in the United States, and between 2007-2012, the MSA achieved a growth rate of 27.8%, second in the country only to the city of San Francisco itself. 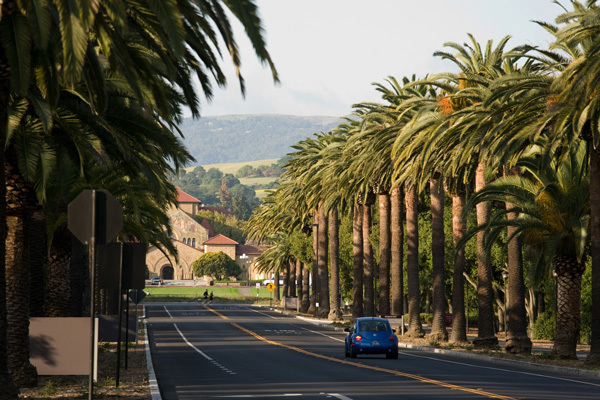 Because of the presence of Stanford University, the area can boast of a large number of research facilities, including approximately 20 independent laboratories and institutes that are affiliated with the University. Palo Alto is located within the famous Silicon Valley, and has a high concentration of tech, software, and IT companies either headquartered or maintaining a significant presence in the city. Some of the more notable companies include A9.com, owned by Amazon, software engineering company Aricent, The Electric Power Research Institute, information technology corporation Hewlett-Packard, news website Mashable, mobile payment platform Mopay, social network game design company Playdom, AOL Incorporated, Dell, Groupon, Lockheed Martin, and Skype, among hundreds of others. According to U.S. News & World Report, Stanford University is ranked #3 among all Computer Engineering schools where a doctoral degree is the highest degree offered. The magazine also says that Stanford has the best Computer Science program in the United States, tied with Carnegie Mellon, MIT, and UC Berkeley, and is rated as the #4 university overall in its 2015 report. According to the World University Rankings of Quacquarelli Symonds (QS), the British company that specializes in information about education and study abroad, Stanford ranks #2 in the world for Computer Science and Information Systems. Globally, Stanford is rated as one of the top universities in the world, rating as #2 in the Academic Ranking of World Universities, #4 with the Times Higher Education World University Rankings, and #7 the QS World University Rankings. In their 2014 “College ROI Report,” PayScale.com determined that Stanford ranked #4 out of more than 1300 colleges and universities. The school has a projected 20-year ROI of over $789,000, versus an education investment of $236,000. Also according to the same website, Stanford has the fourth-highest mid-career pay scale for mid-career computer science majors, with an average salary of $120,000. Alumni from Stanford have founded Google, Hewlett-Packard, Sun Microsystems, and Yahoo!. In addition, the school can boast of affiliation with 58 Nobel laureates. 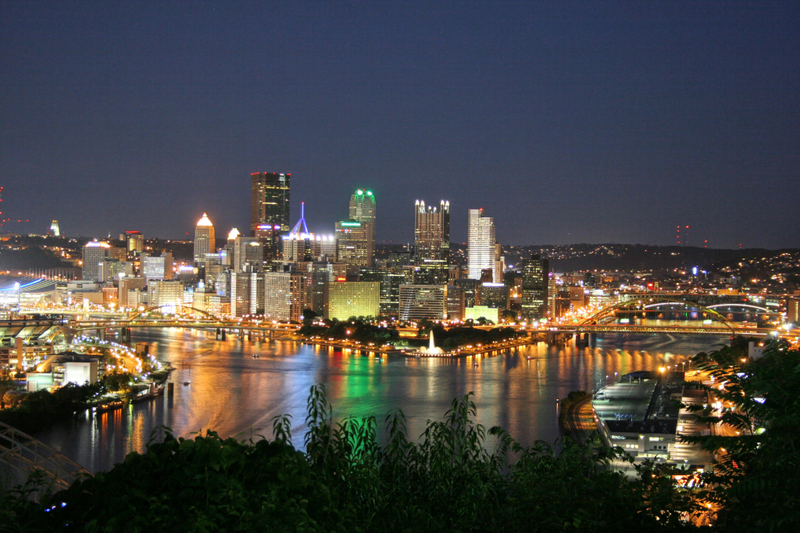 Because of Carnegie Mellon University, there are several world-class research facilities in Pittsburgh, including the Pittsburgh Supercomputing Center, the Robotics Institute, the Software Engineering Institute, and the Human-Computer Interaction Institute. After the collapse of its famous steel industry, The Allegheny Conference on Community Development helped spur the transformation of Pittsburgh from a “steel town” to a tech hub. In 2009, it was chosen as the site of the G-20 summit to highlight its transition into a 21st-century economy. The Pittsburgh region’s technology industry has a total annual payroll of approximately $20.7 billion, representing more than a third of the total wages paid out. Approximately one-quarter of the region’s overall workforce – more than 295,000 people – are employed by technology firms. According to U.S. News & World Report, Carnegie Mellon University is ranked # 2 among all Computer Engineering schools where a doctoral degree is the highest degree offered. The magazine also says that Carnegie Mellon has the best Computer Science program in the United States, tied with MIT, Stanford, and UC Berkeley. The University of Pittsburgh is also highly-rated, coming in at #52 in Computer Science. In its 2015 report, U.S. News & World Report rates Carnegie Mellon as the #25 best overall university in the country. Carnegie Mellon has been described as a “New Ivy” university. For graduate studies, Carnegie Mellon ranks exceptionally high in several degrees – 1st in Computer Science, 5th for Engineering, and 7th for Electrical Engineering, among others. According to the World University Rankings of Quacquarelli Symonds (QS), the British company that specializes in information about education and study abroad, Carnegie Mellon ranks #4 in the world for Computer Science and Information Systems. In their 2014 “College ROI Report,” PayScale.com determined that Carnegie Mellon ranked # 14 out of more than 1300 colleges and universities. The school has a projected 20-year ROI of over $678,000, versus an education investment of $236,000. Also according to the same website, Carnegie Mellon has the sixteenth-highest pay scale for mid-career computer science majors, with an average salary of $111,000. 19 different Nobel laureates have had an affiliation with Carnegie Mellon University. According to the job database website, Dice.com, Boston ranked #5 among American cities for the average salary for tech workers in 2013, with an average annual pay of $94,531, and According to the job-hunting site Indeed.com, Boston ranks #8 among all American cities for the number of job openings for computer programmers. Approximately one out of every four jobs in Boston is part of the STEM field, and the average STEM wage is just over $84,000, which ranks fifth-highest in the country. As of June 2014, there were over 17,000 STEM jobs available in the greater Boston area. The outlook is very rosy for Boston’s continual success as a tech hub. Boston is in Suffolk County, Massachusetts, which experienced a 13% growth in tech/IT jobs between 2007-2012. Massachusetts Institute of Technology (MIT), Harvard University, Boston University, and Tufts University are all located here. According to the World University Rankings of Quacquarelli Symonds (QS), the British company that specializes in information about education and study abroad, MIT ranks #1 in the world for Computer Science and Information Systems, and Harvard University ranks #6. According to U.S. News & World Report, MIT is ranked #1 among all Computer Engineering schools where a doctoral degree is the highest degree offered. The magazine also says that MIT has the best Computer Science program in the United States, tied with Carnegie Mellon, Stanford, and UC Berkeley. In the same report, Harvard University is ranked #18 among the best Computer Science colleges in the United States, while Boston University is ranked #48. In its 2015 report, U.S. News & World Report ranks Harvard as the #2 and MIT as the #7 best overall universities in the country. In their 2014 “College ROI Report,” PayScale.com determined that MIT ranked #3 out of more than 1300 colleges and universities. The school has a projected 20-year ROI of over $831,000, versus an education investment of $223,000. Also according to the same website, MIT has the sixth-highest pay scale for mid-career computer science majors, with an average salary of $117,500. Harvard does very well, also. The University’s 20-year ROI is $650,000, against an educational investment of $226,000. As of 2014, MIT can claim an affiliation with 81 Nobel laureates, 45 Rhodes Scholars, and 38 MacArthur Fellows. This is dwarfed by Harvard, which boasts of 150 Nobel laureates and 335 Rhodes Scholars.